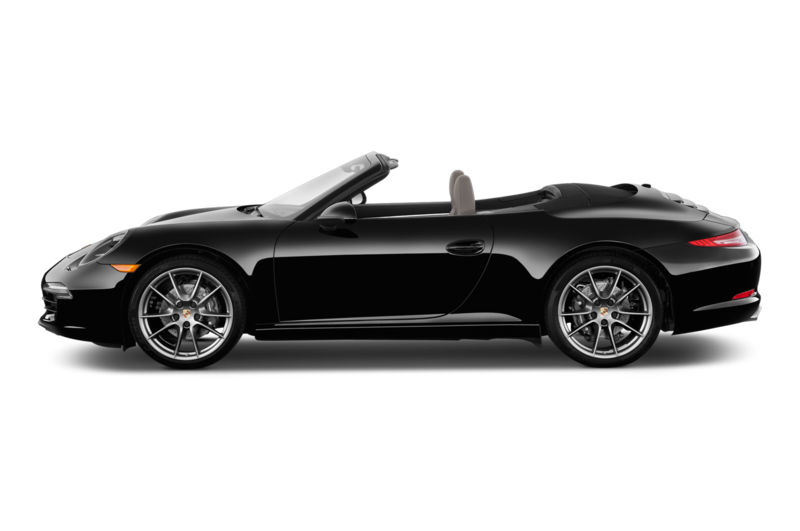 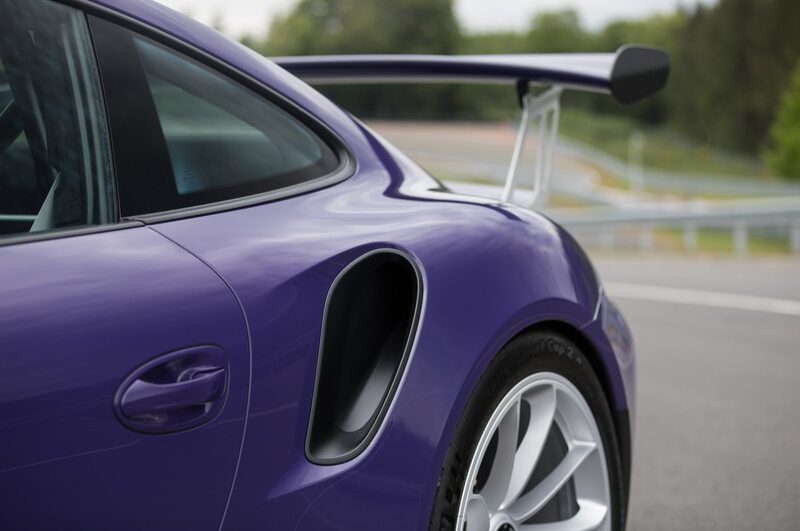 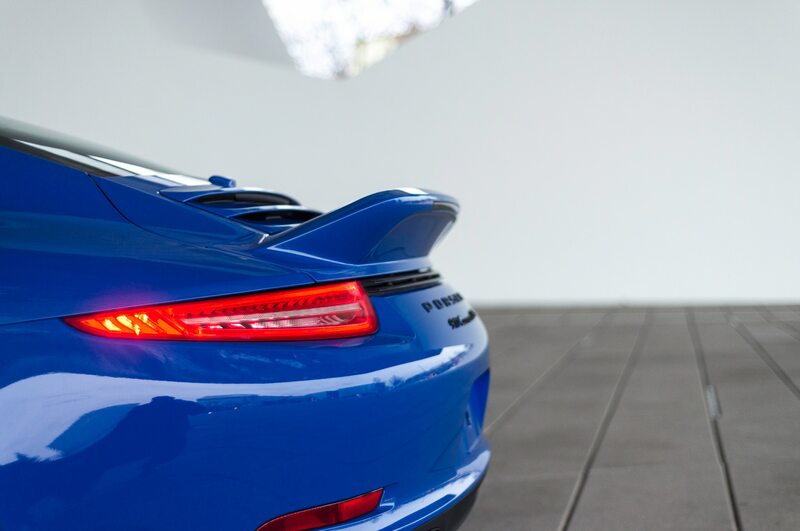 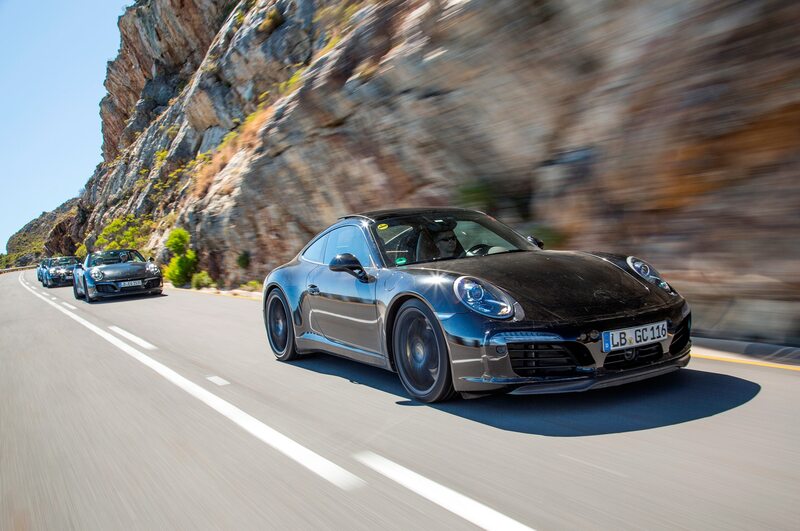 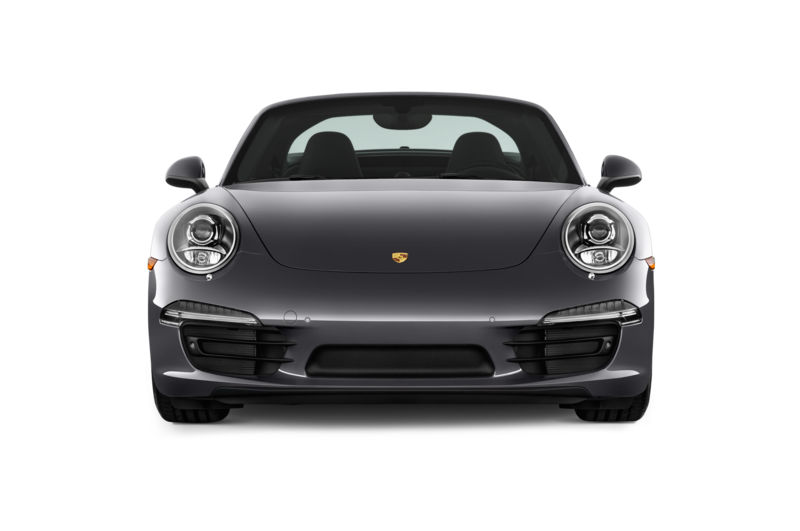 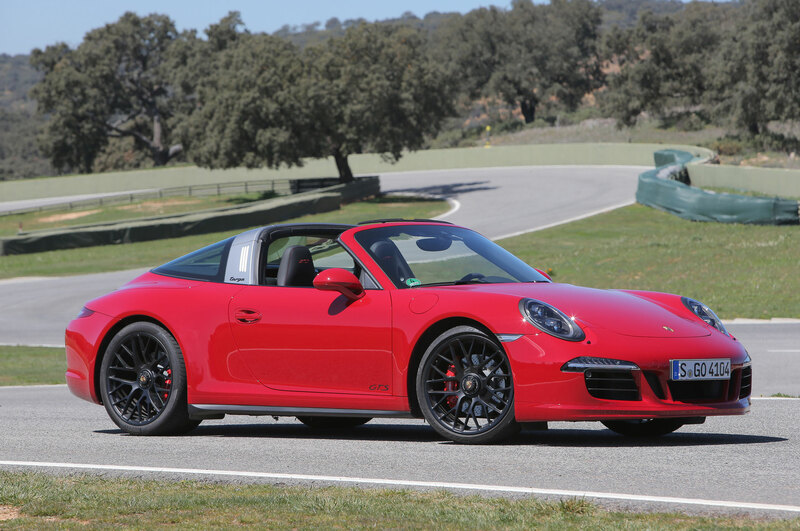 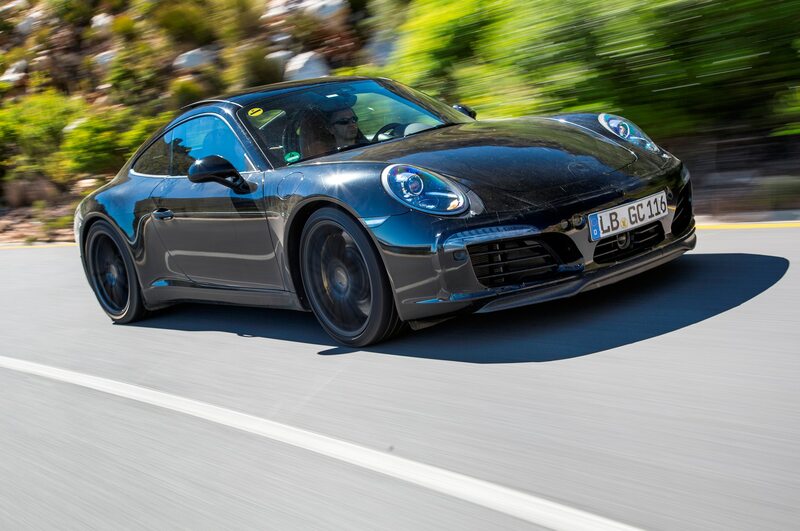 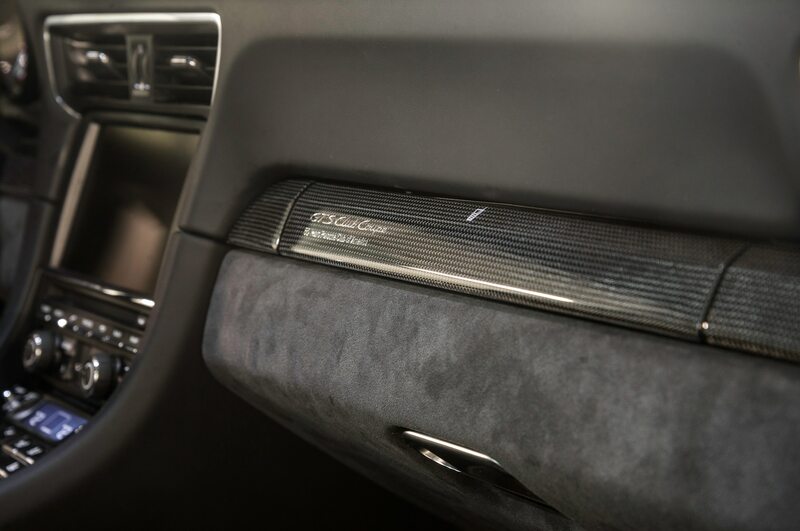 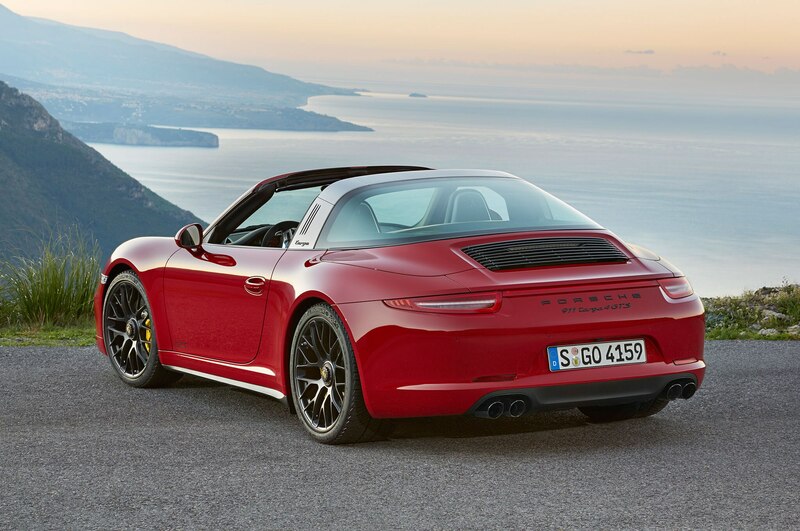 MALAGA, Spain—Think of the 2016 Porsche 911 Targa 4 GTS as a superb chef’s knife honed to a finer edge, a world-famous cabernet sauvignon from an even better year, or the driver who wins the Indianapolis 500 by 0.43 seconds. 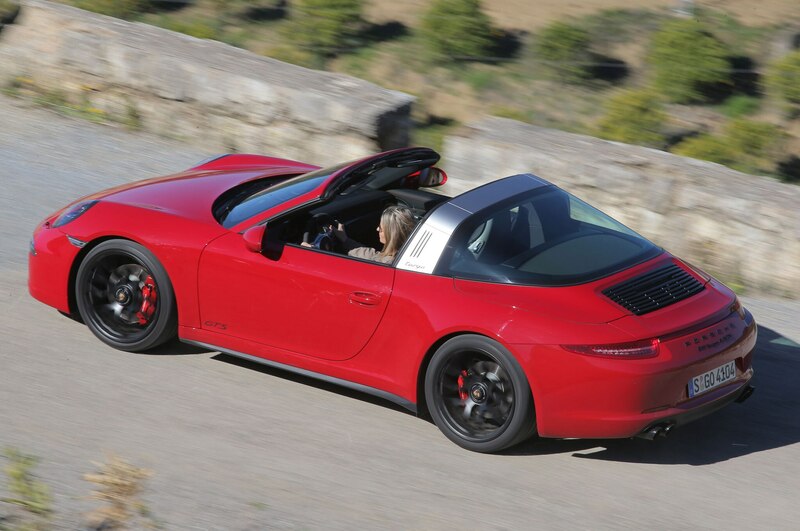 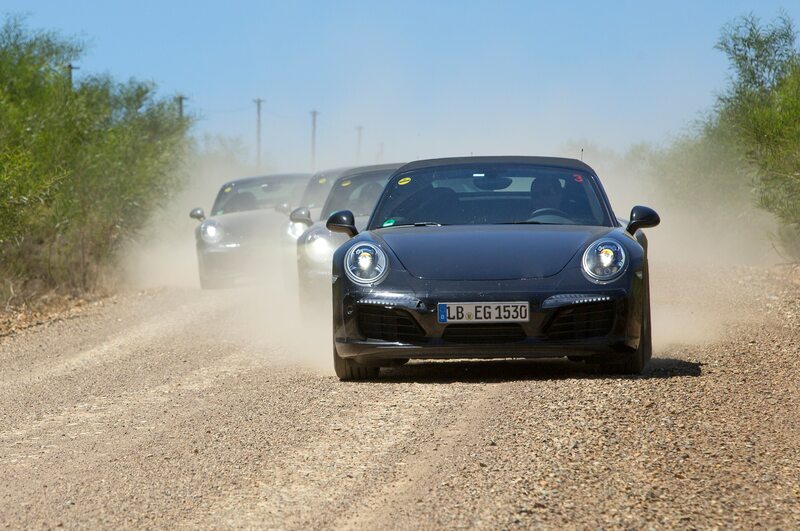 Using Porsche’s already sharp, all-wheel-drive-only 911 Targa as its starting point, the 430-horsepower Targa 4 GTS rockets from 0 to 60 mph in 4.1 seconds when equipped with Porsche’s seven-speed PDK dual-clutch gearbox. 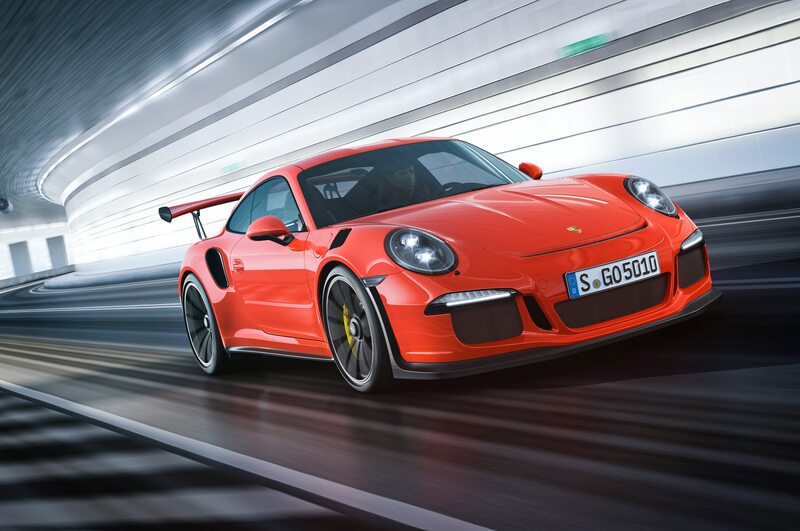 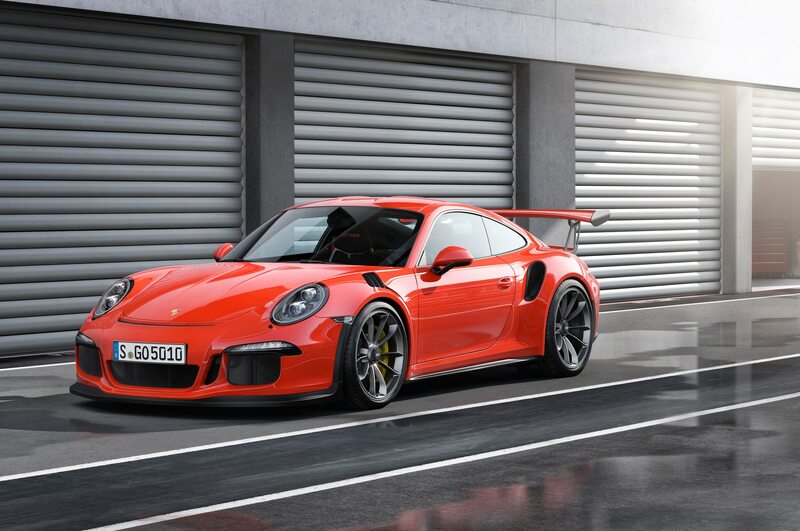 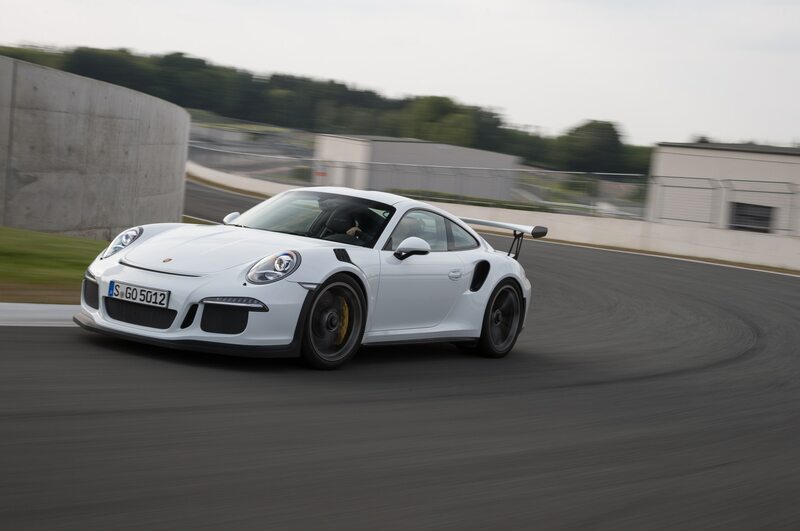 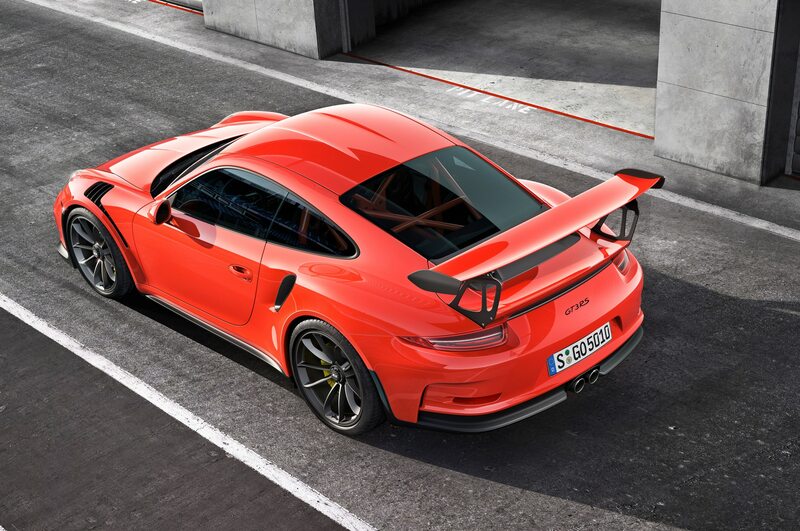 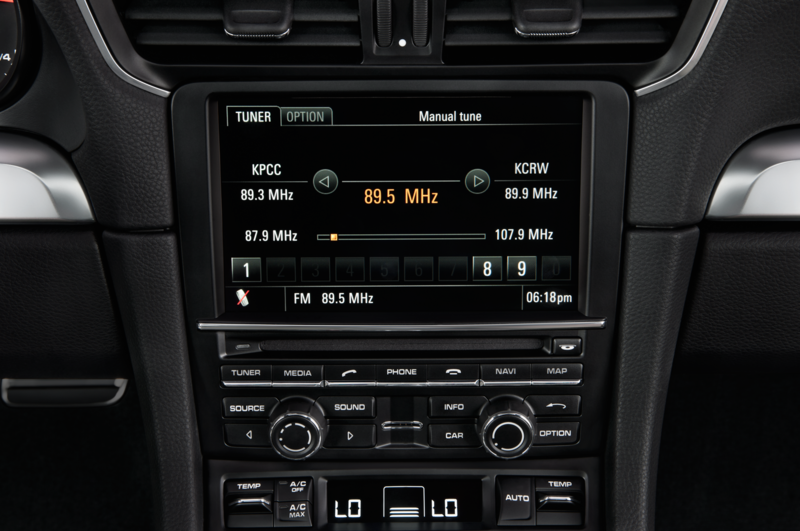 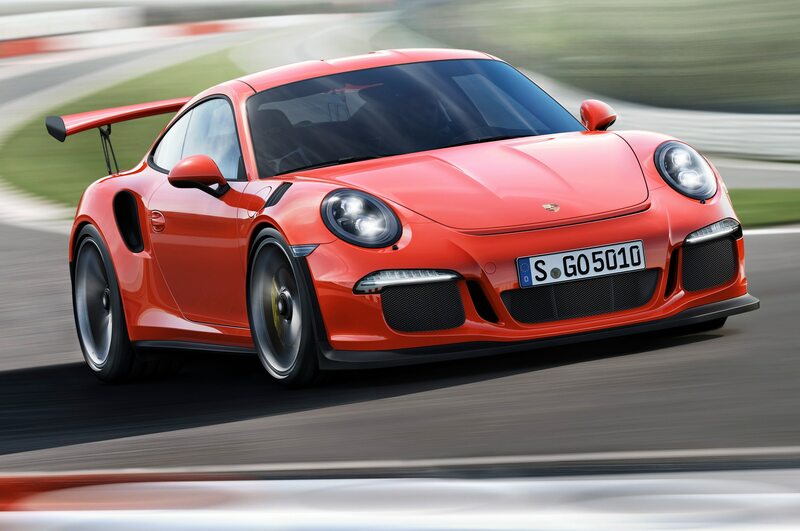 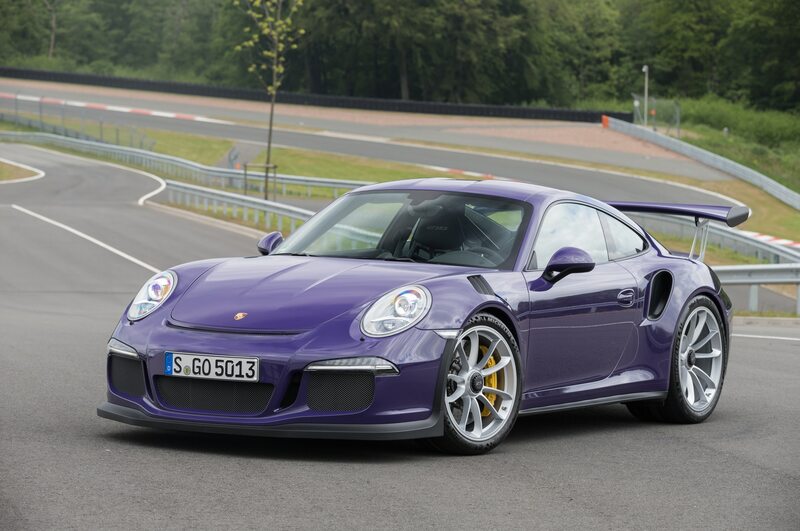 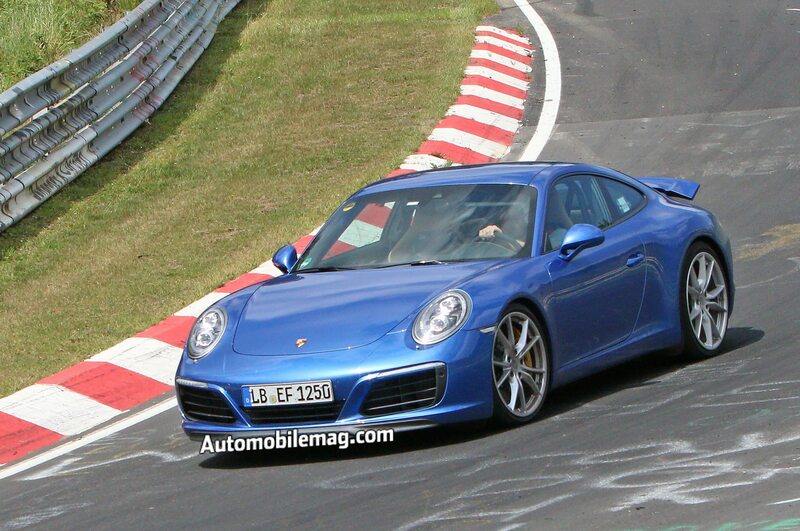 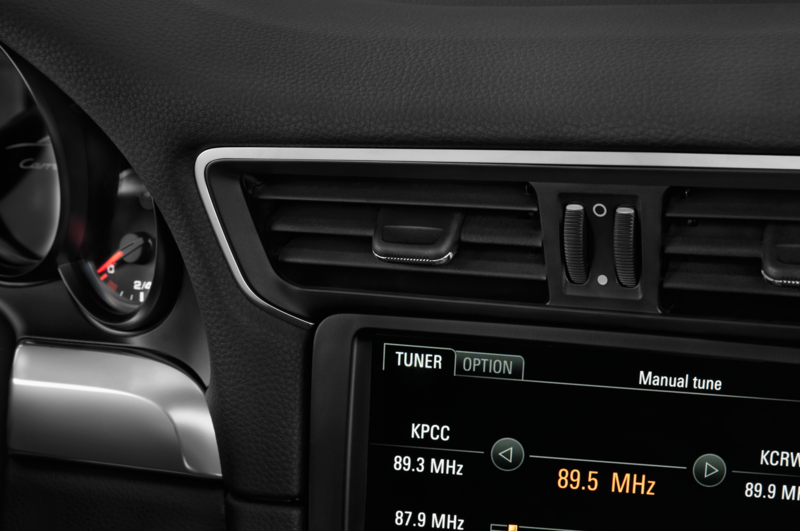 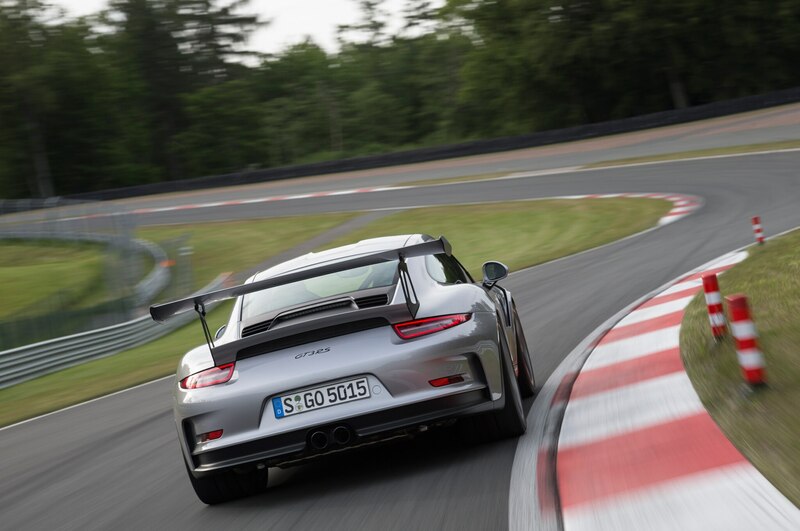 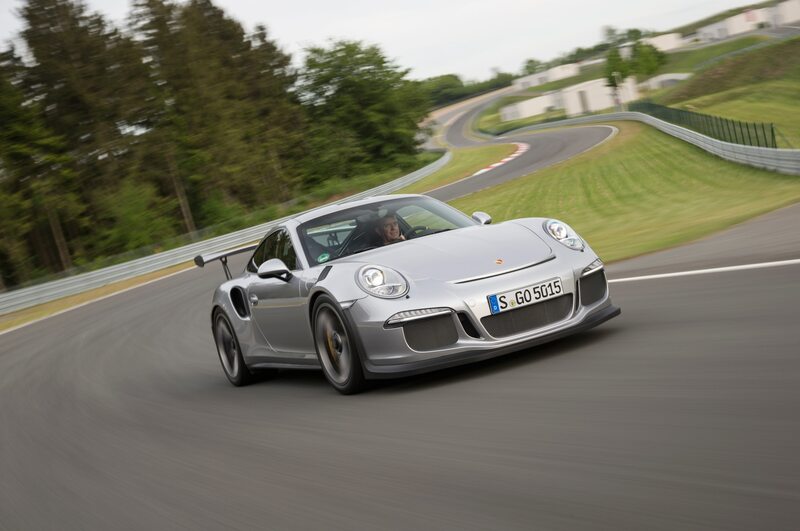 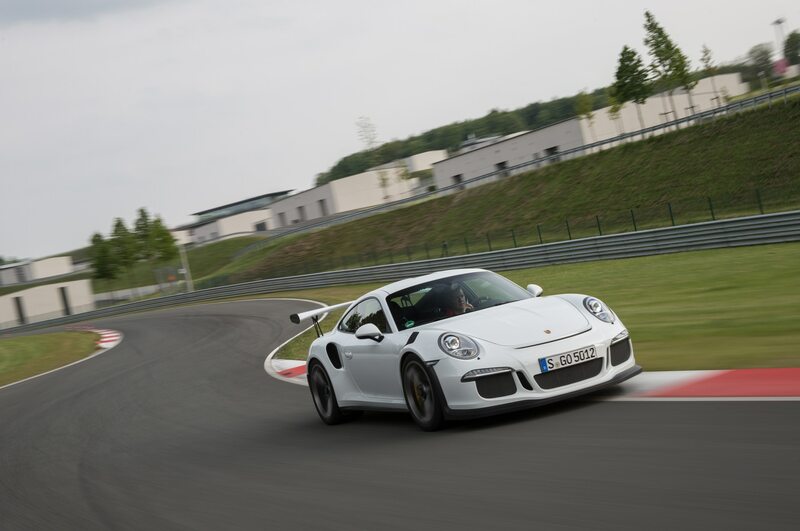 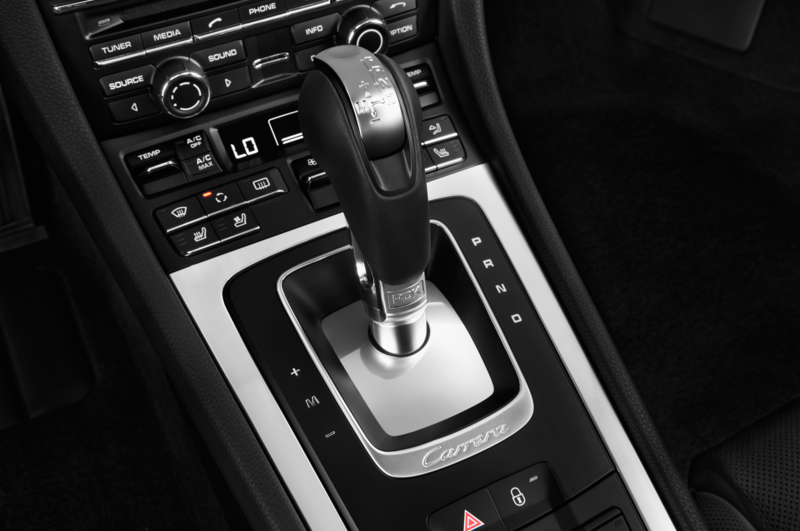 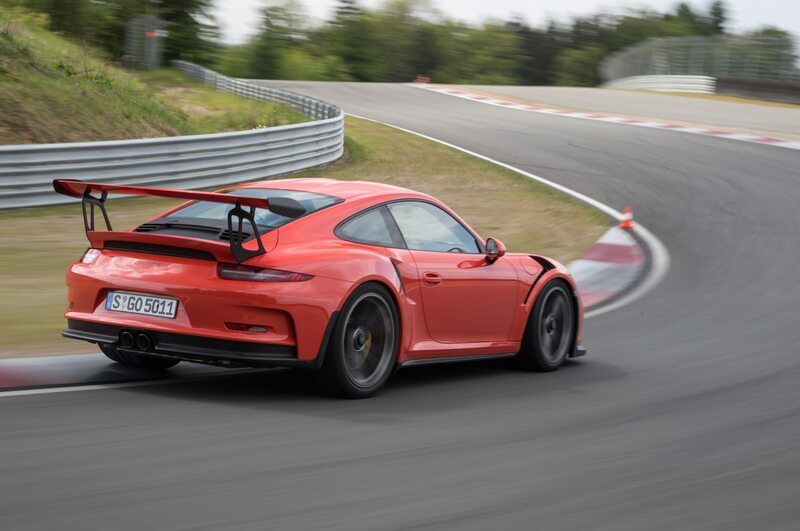 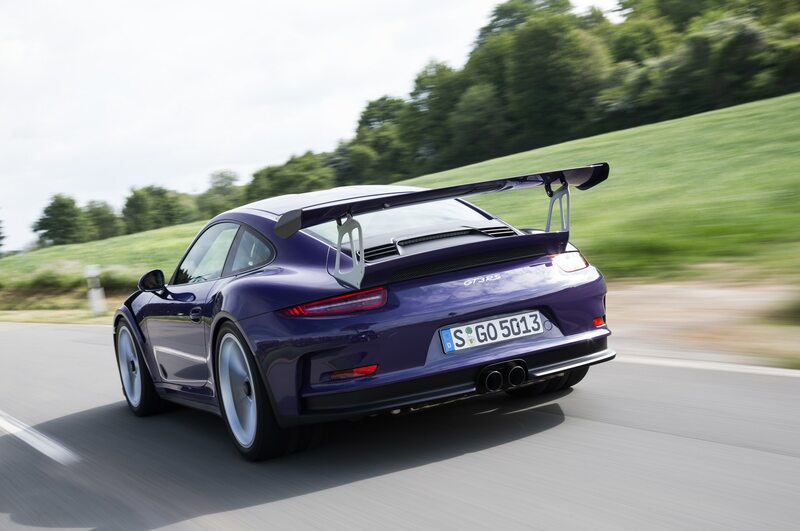 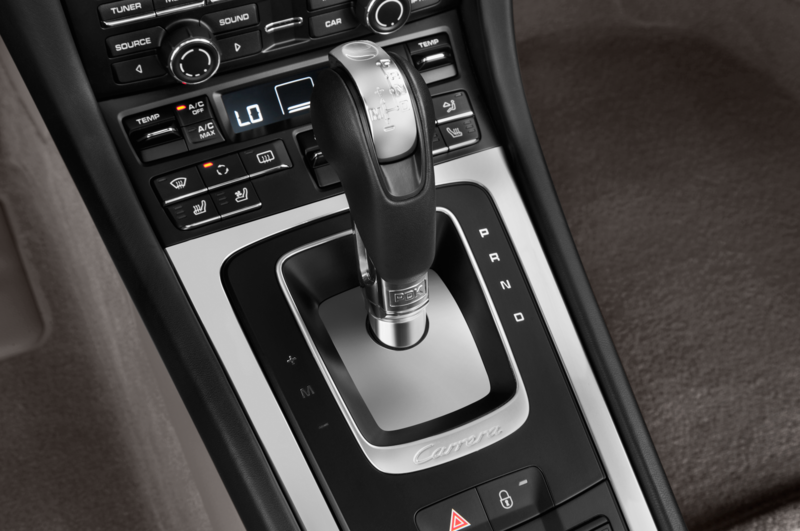 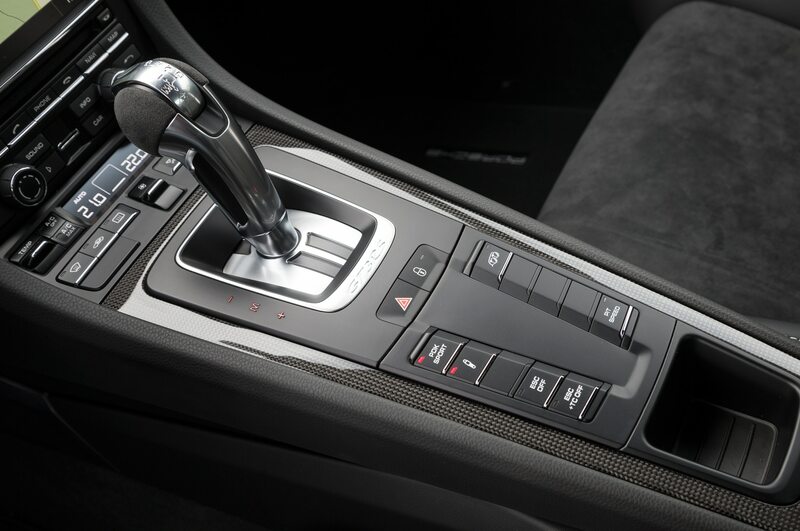 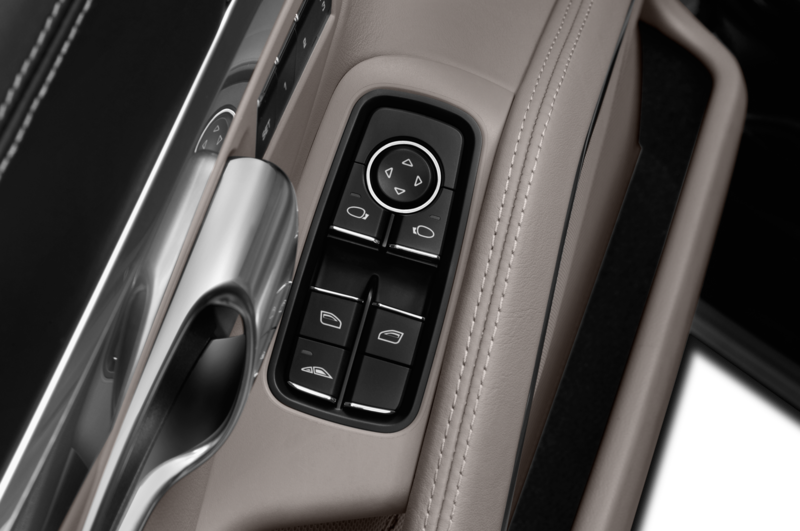 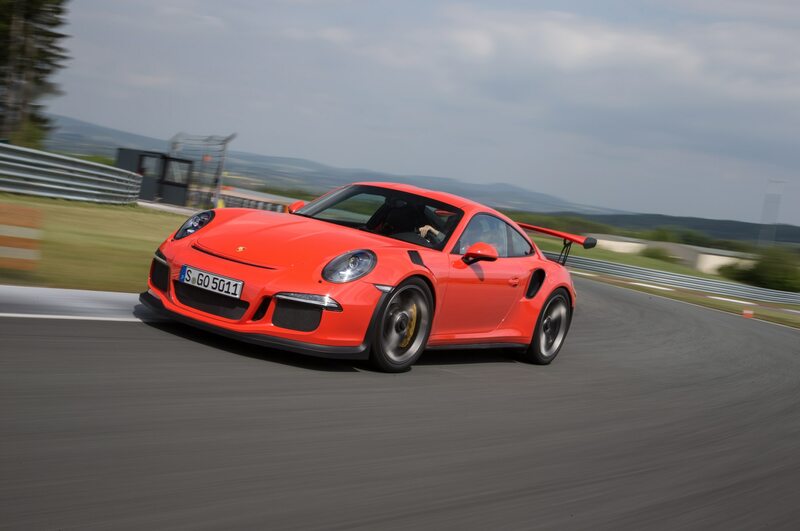 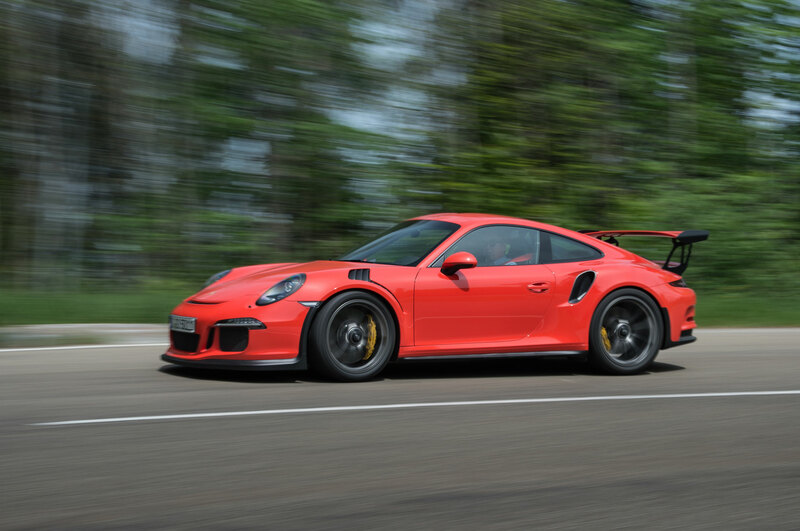 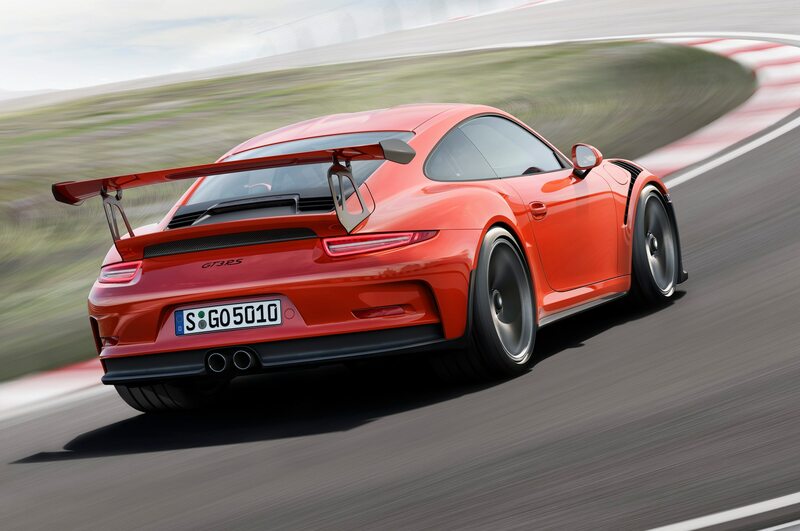 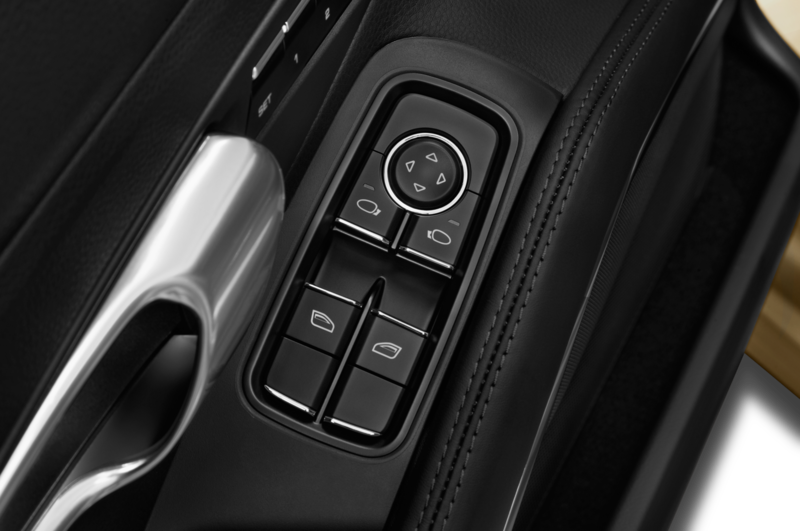 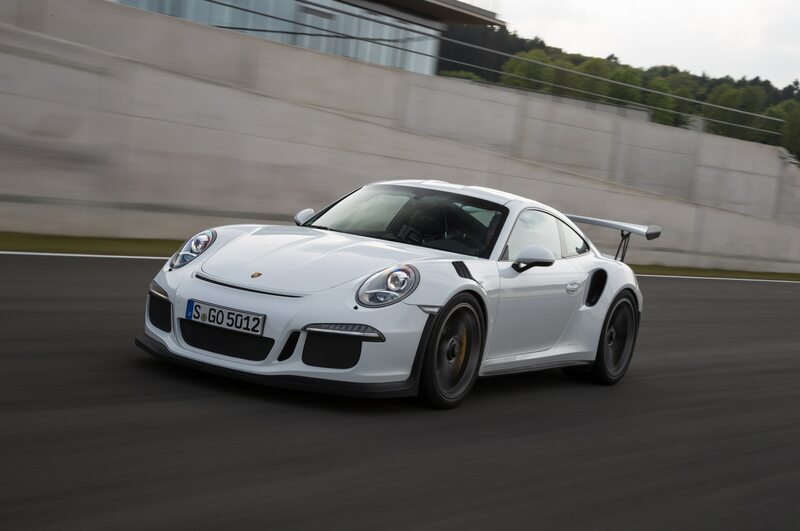 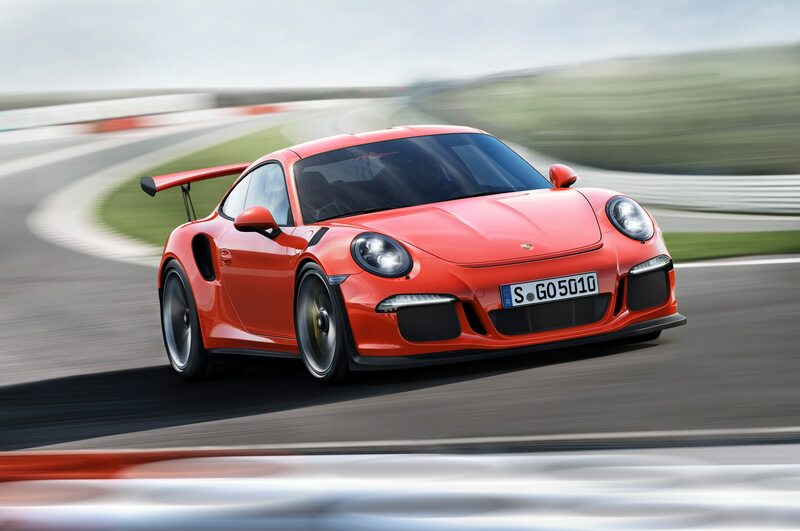 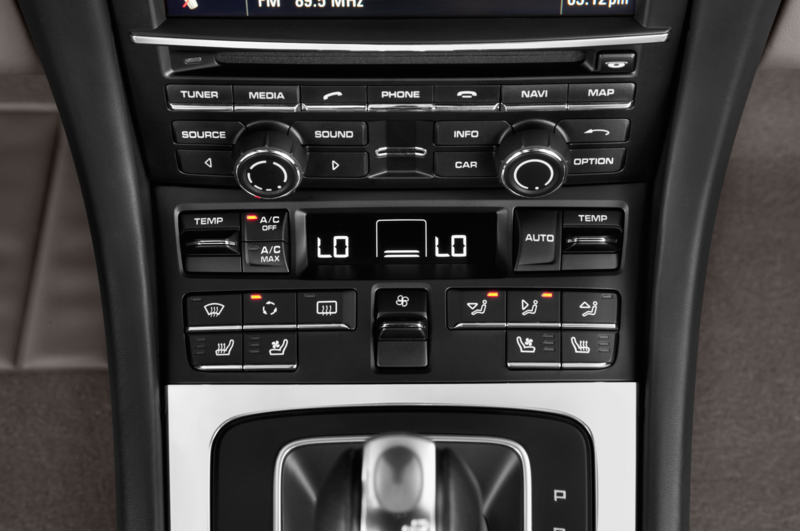 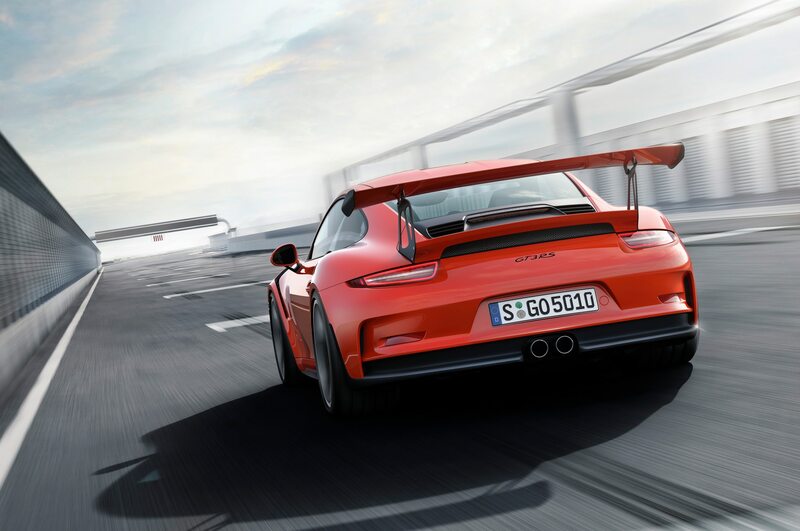 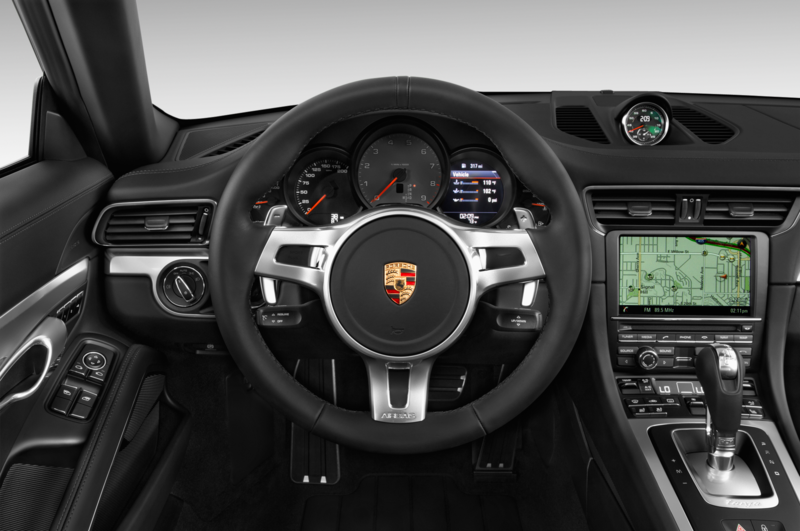 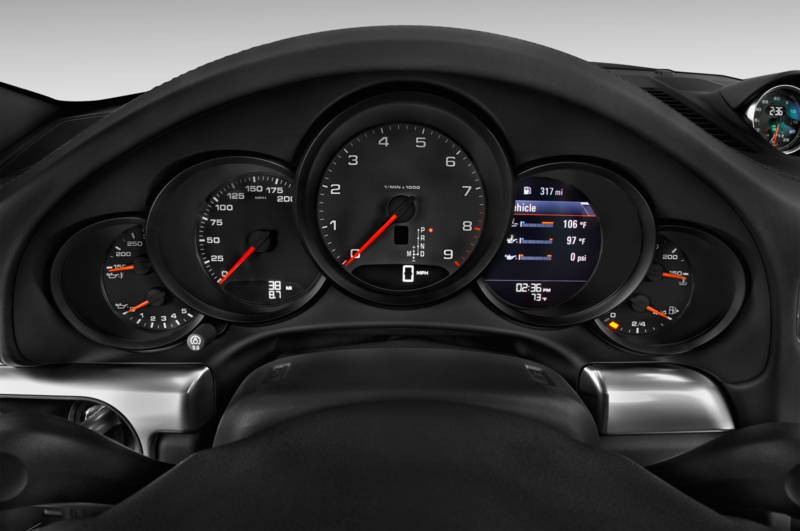 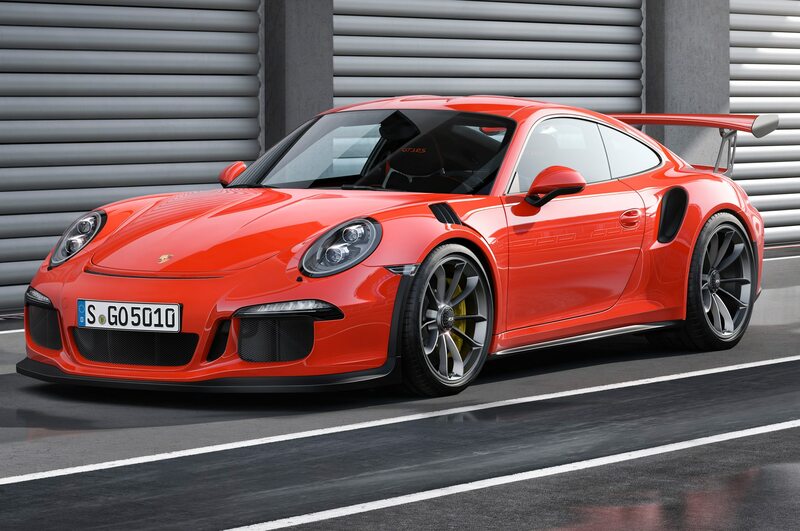 Seven-speed manual cars clock in 0.4 second slower, Porsche says. 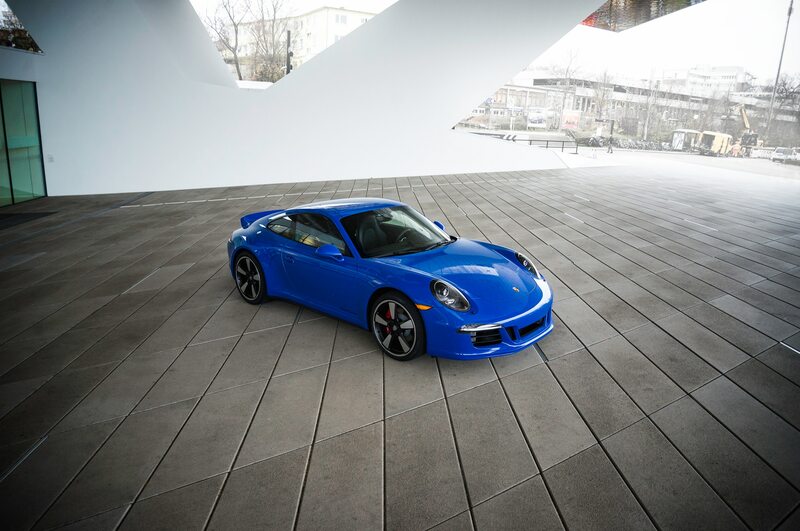 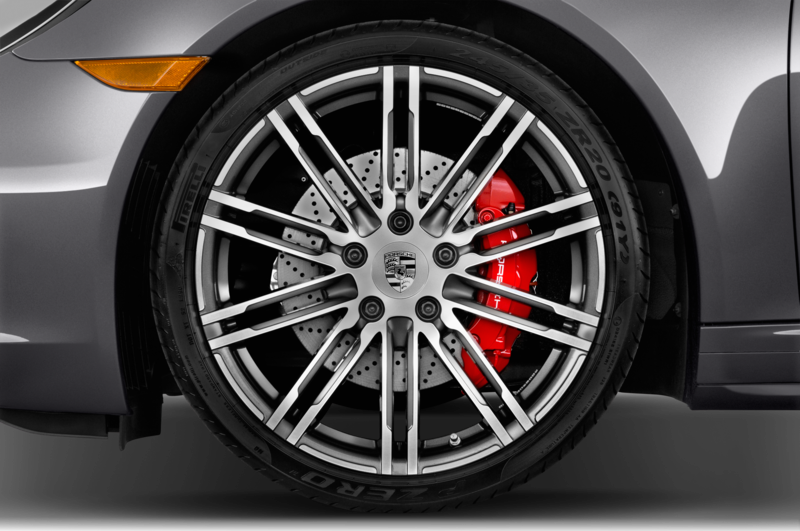 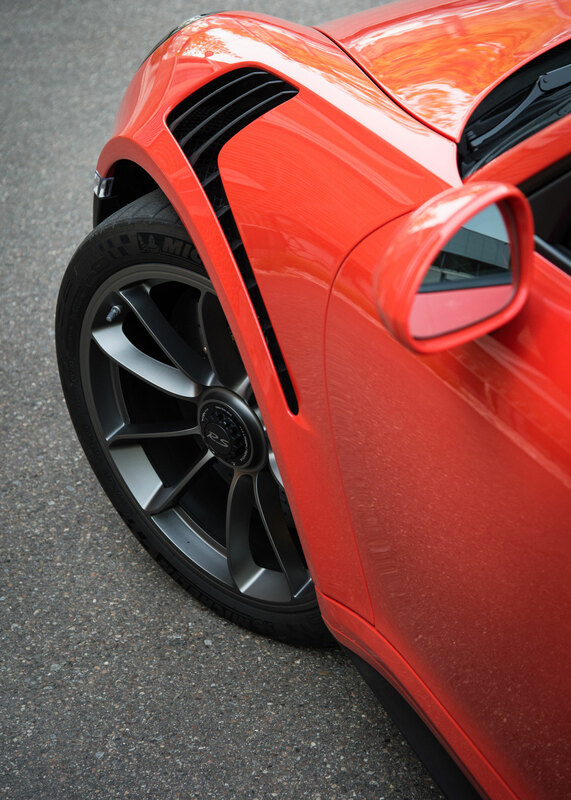 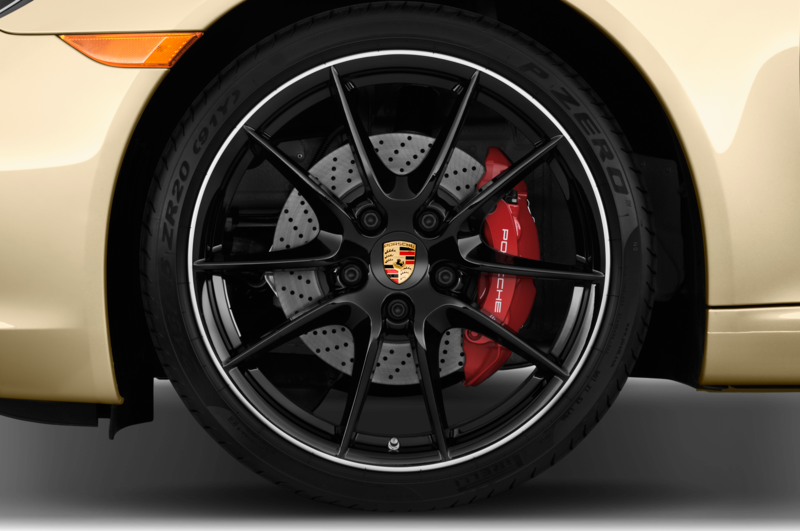 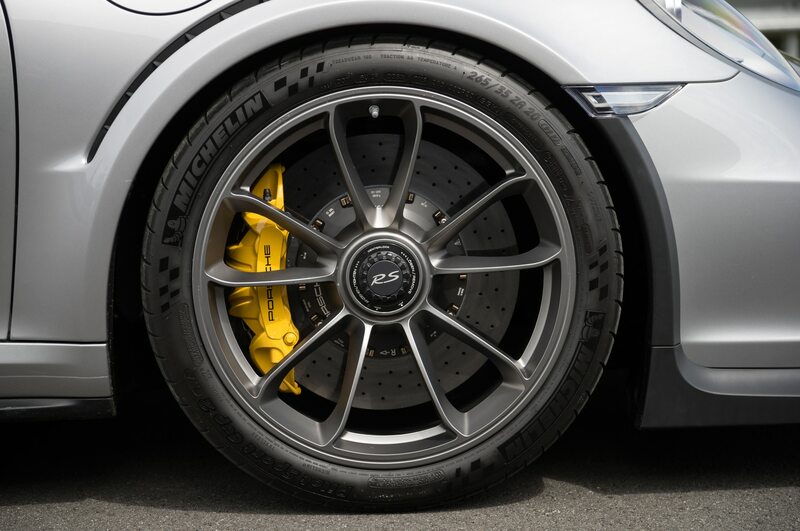 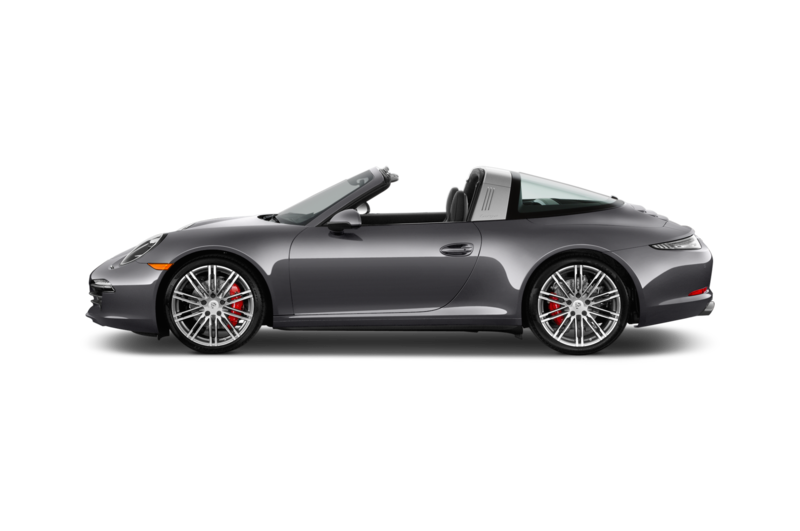 While the 2016 Porsche 911 Targa 4 GTS has the same 325 lb-ft of torque as the Targa 4S that sits one step below it on the ladder, peak power comes in 150 rpm higher at 5,750 rpm. 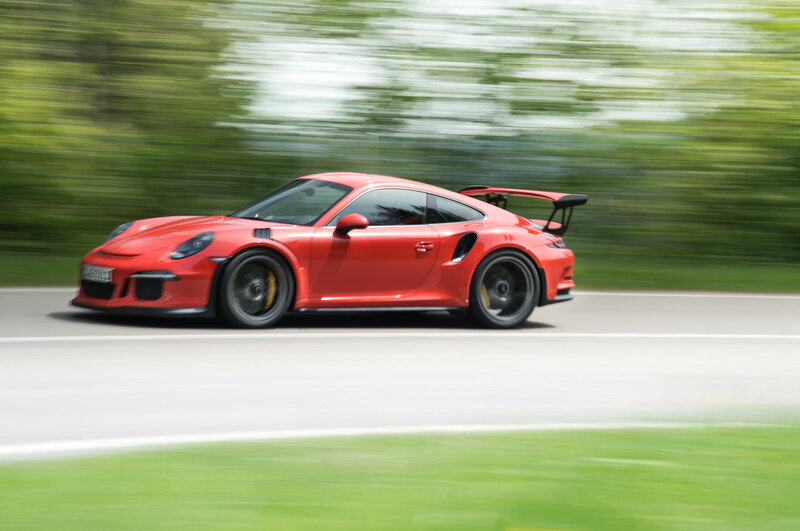 The differences are minor on paper, but get the GTS past 4,000 rpm and you’ll find its 3.8-liter flat-six loves to rev from there to redline. 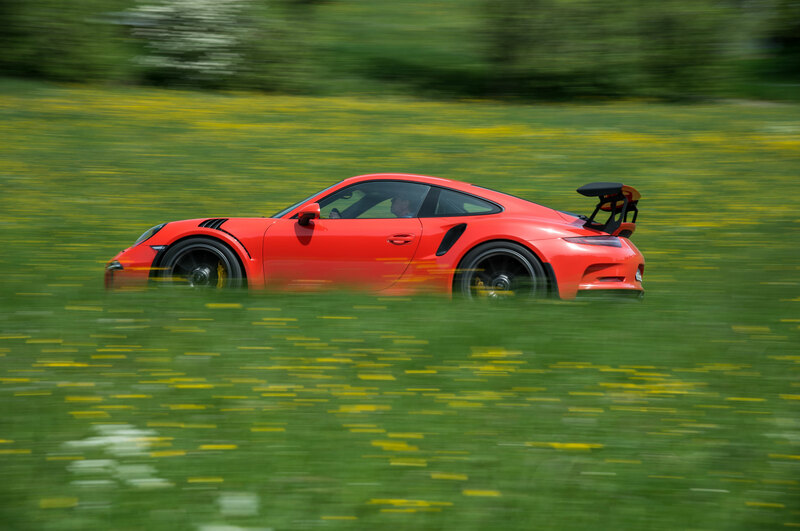 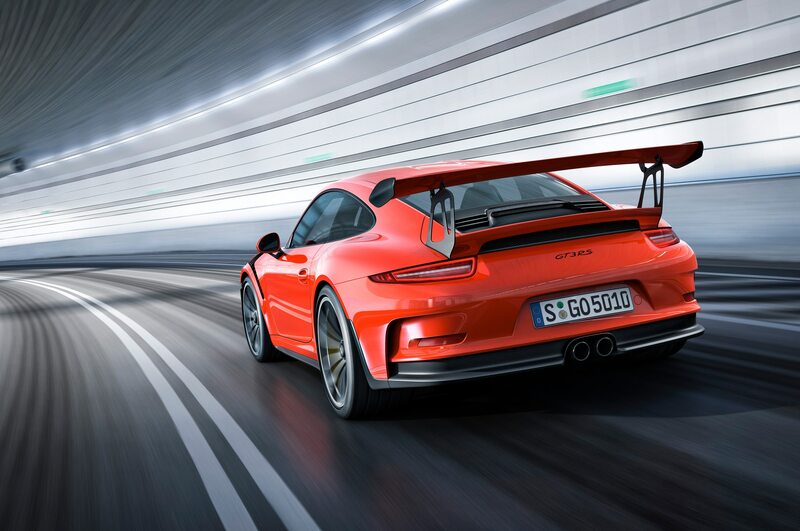 Leave the PDK in D on a racetrack, let the electronics do their stuff, and you’ll find the upper limits are where the GTS does its best work. 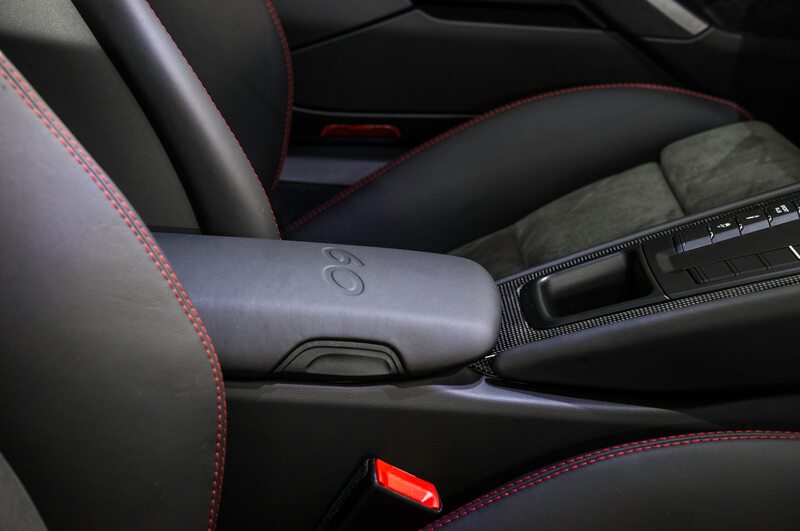 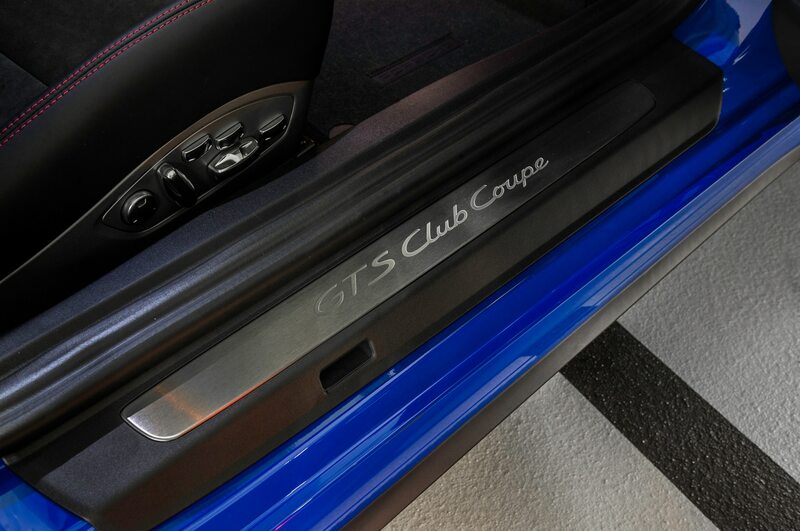 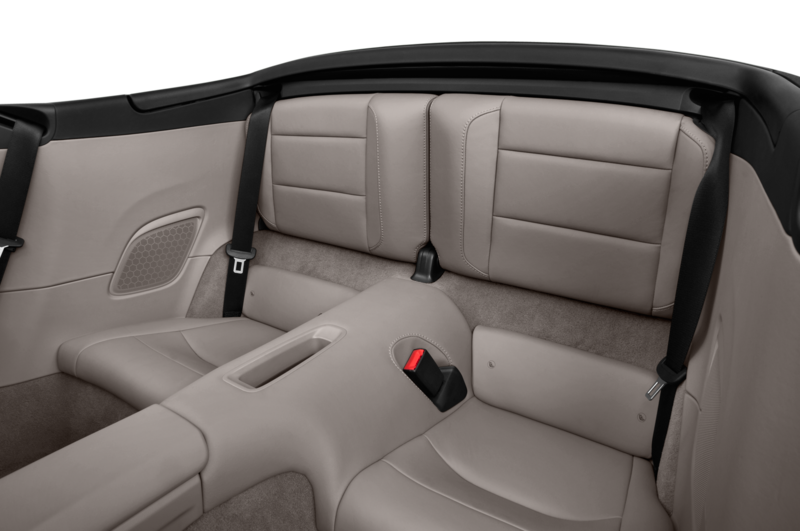 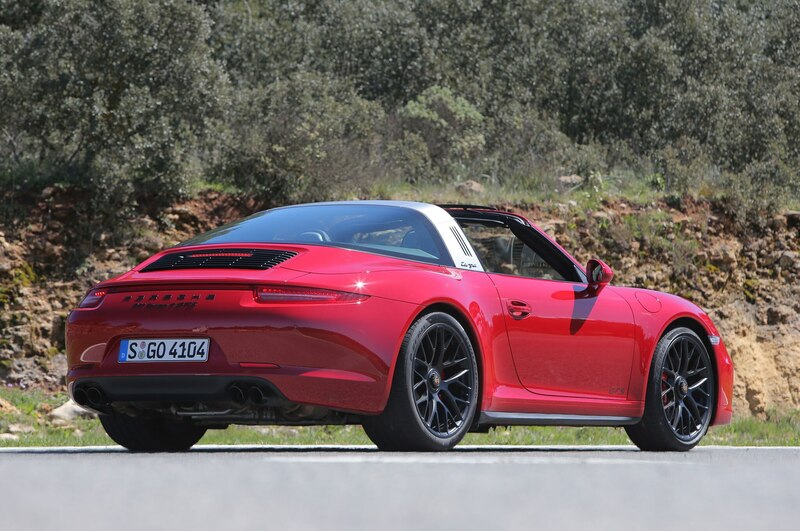 While an open-top car like the Targa GTS isn’t going to be nearly as rigid as a 911 GTS coupe (it takes roughly 22,421 lb-ft of twist to bend the coupe’s body 1 degree, as opposed to the 9,883 lb-ft it takes to do it in the Targa), the Targa feels about as solid as the coupe, even over long stretches of bumpy Spanish back roads. 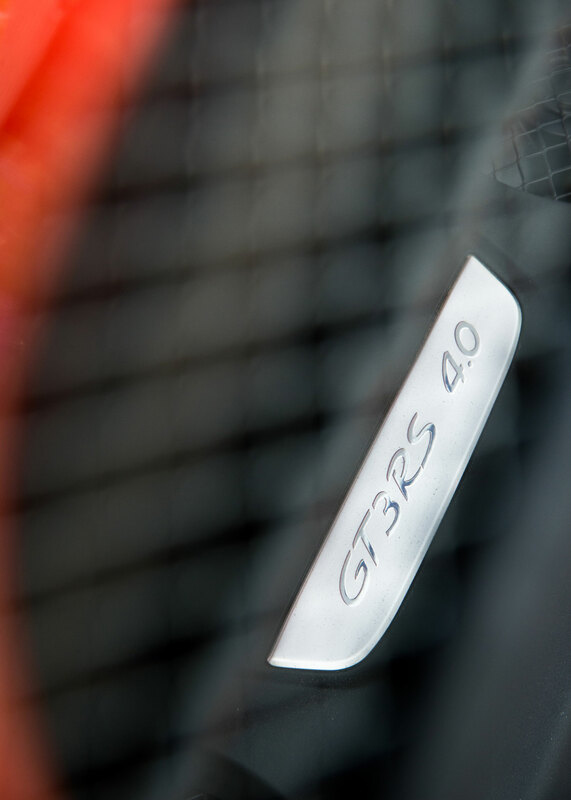 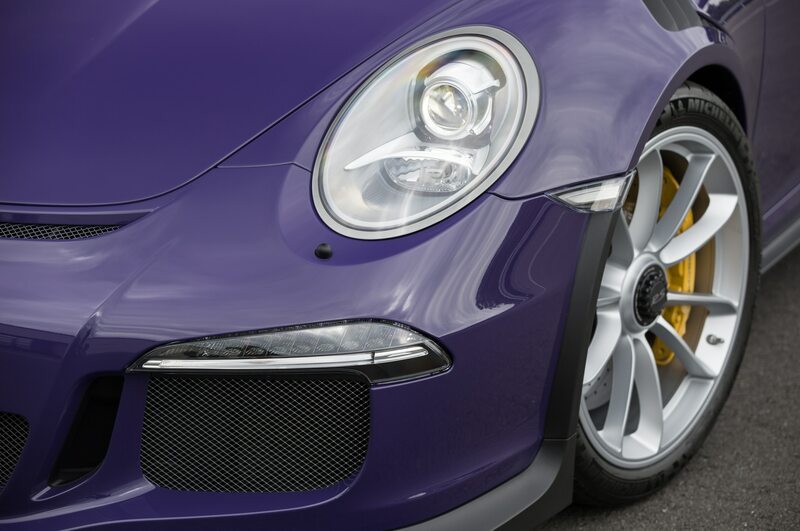 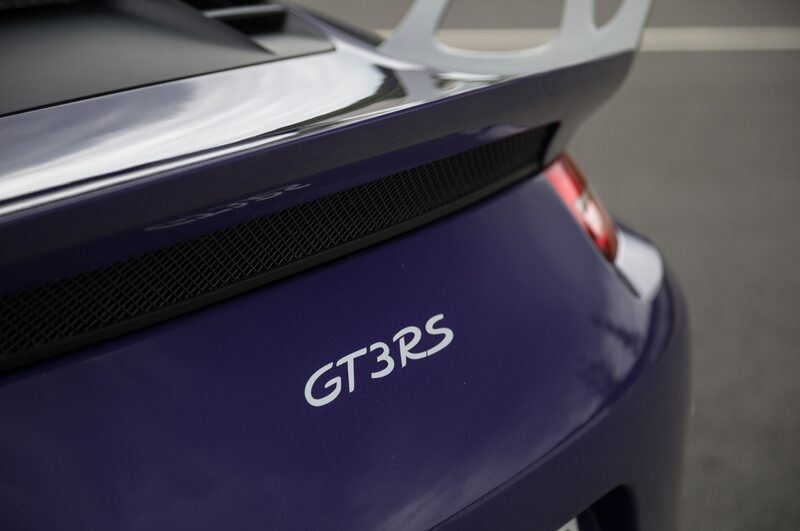 The GTS tips the scales at 3,439 pounds (with the manual), 143 pounds heavier than the GTS version of the cabrio and 297 more than the GTS coupe. 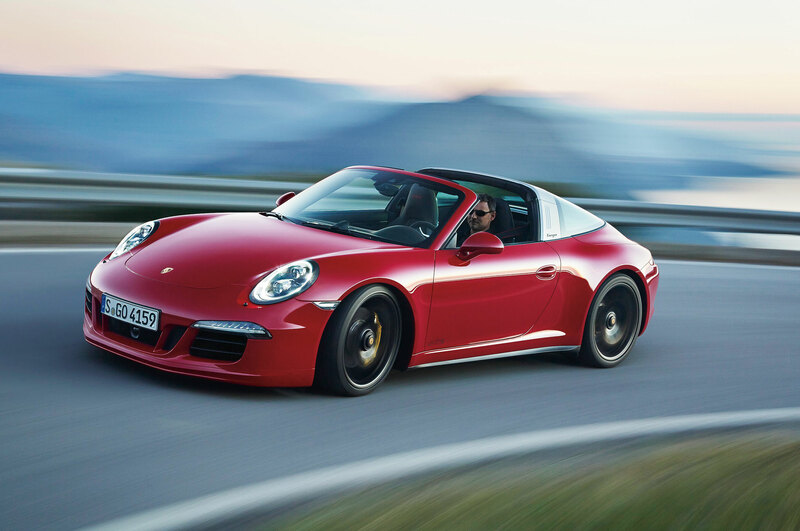 Weissach’s suspension wizards also revised the car’s shock tuning, which largely masks any handling disparities between the GTS versions of the coupe and Targa—especially on a racetrack where anyone short of Dario Franchitti would be hard pressed to notice a difference. 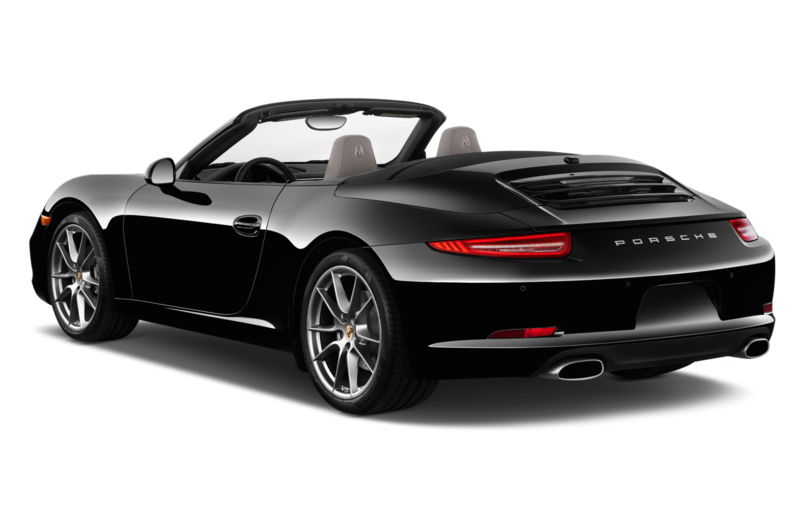 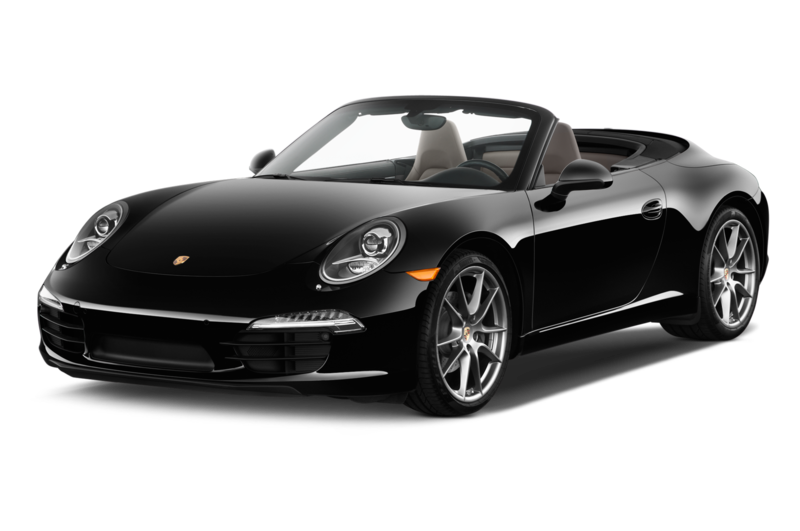 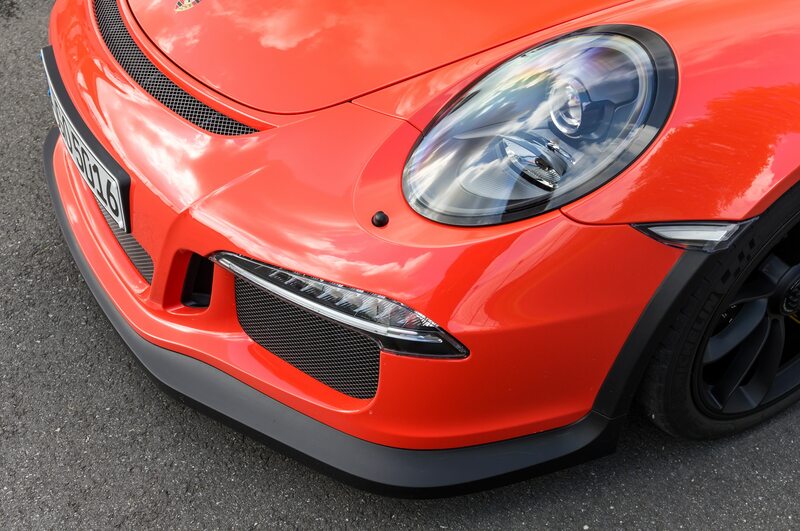 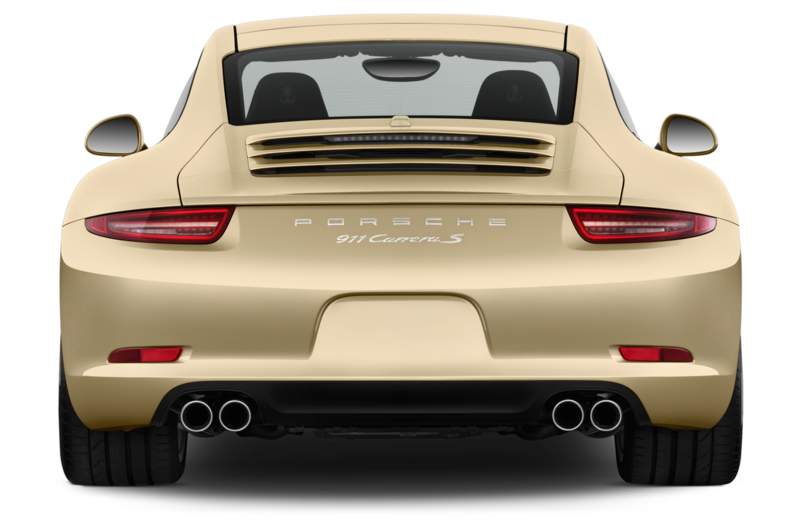 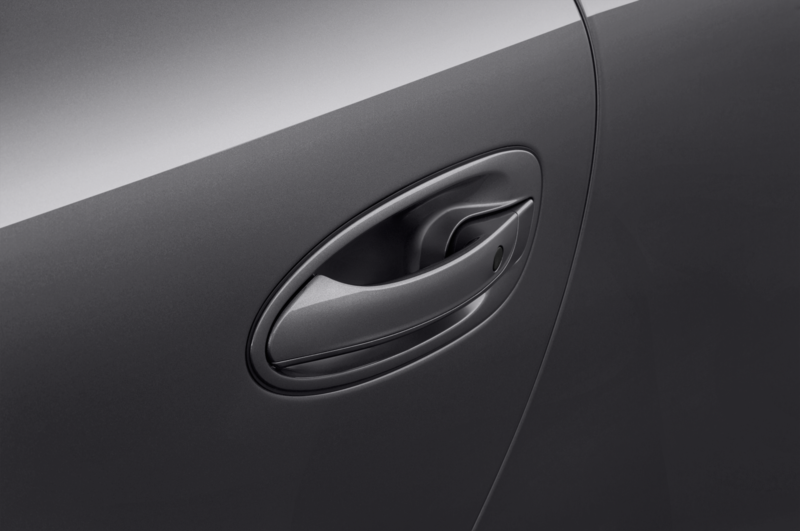 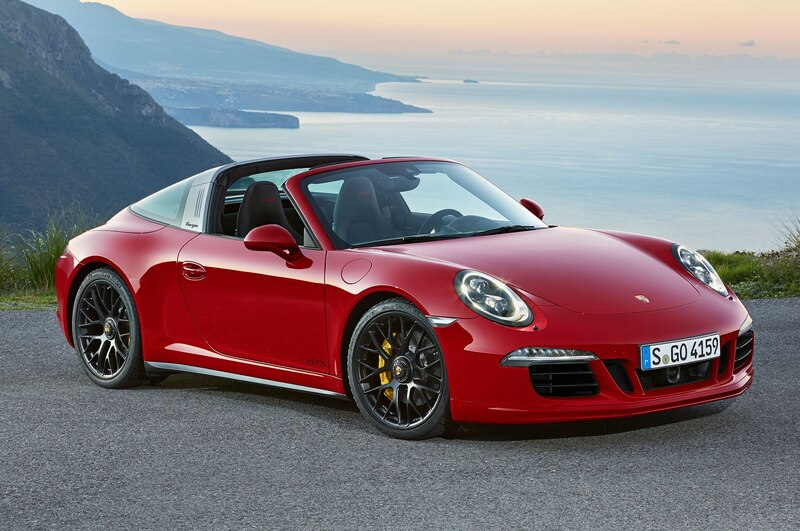 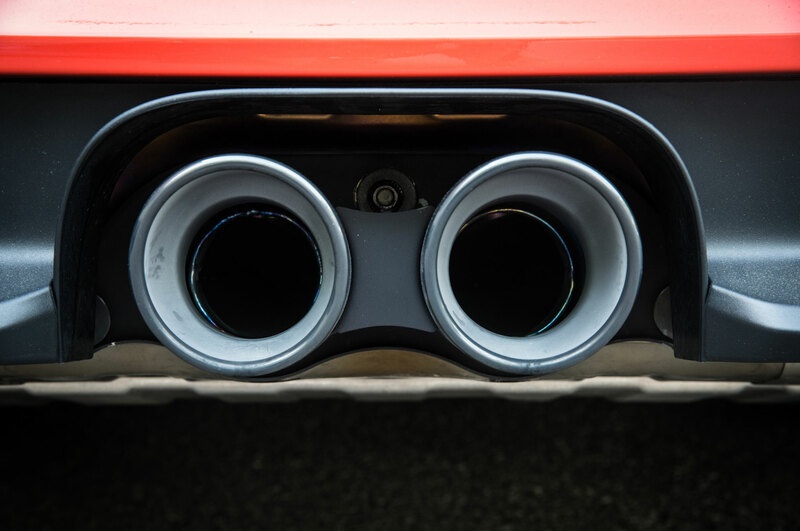 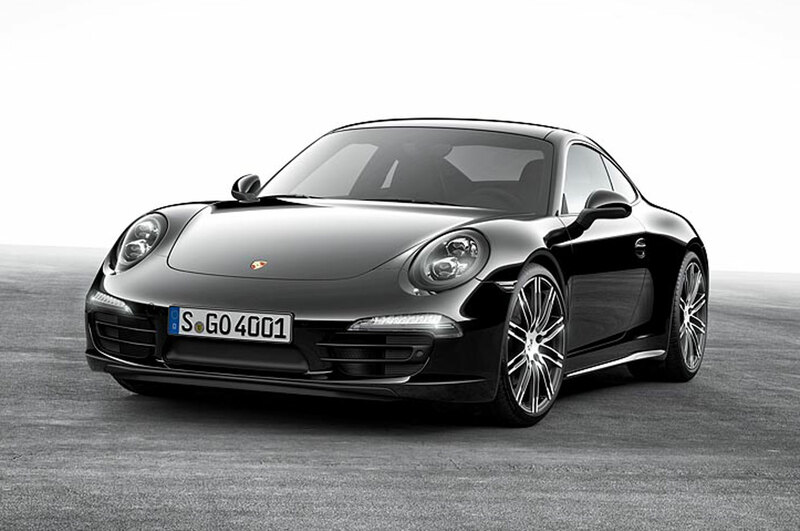 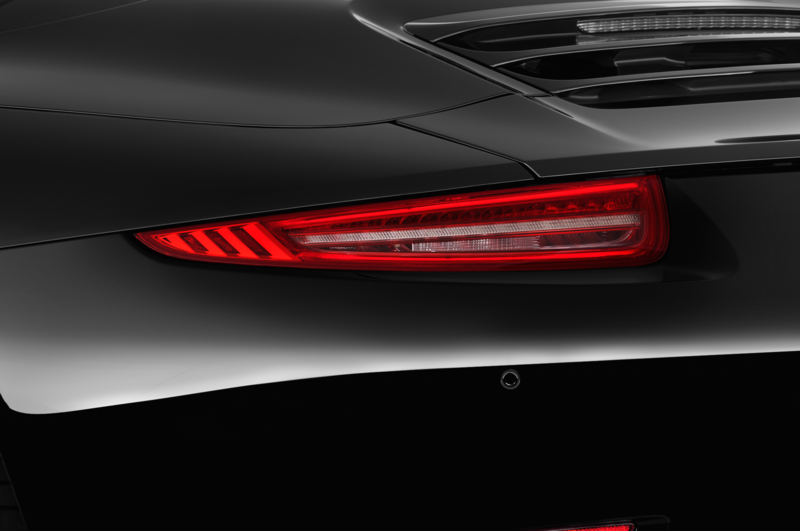 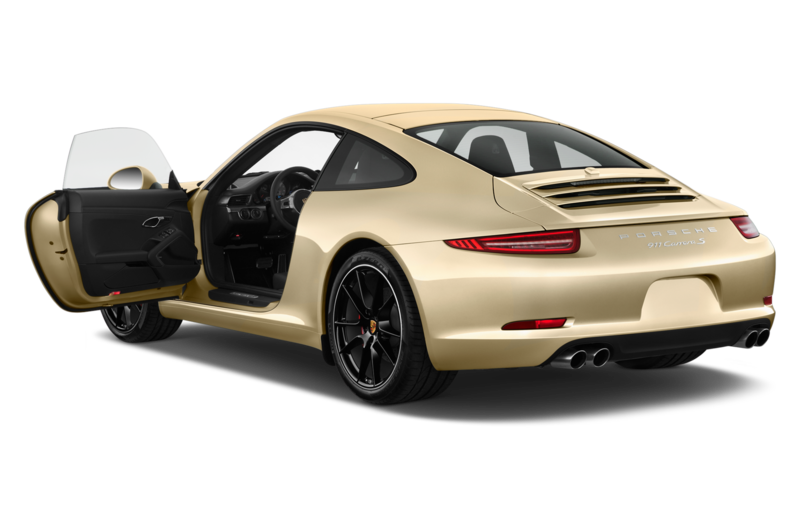 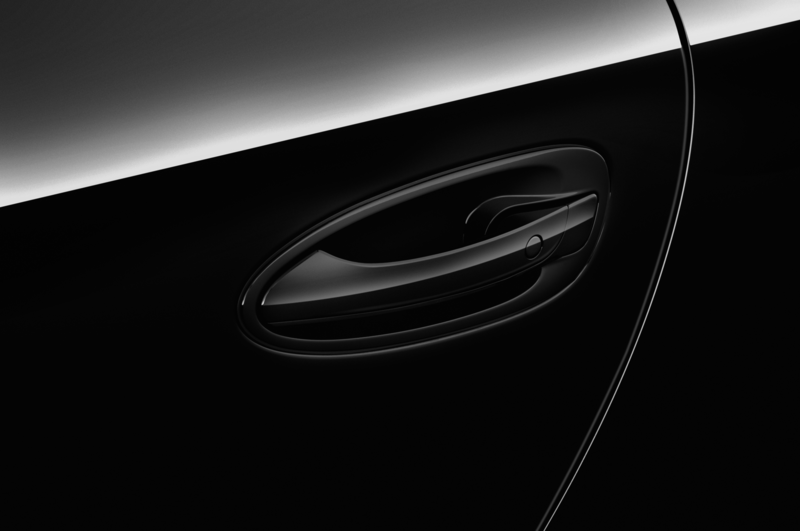 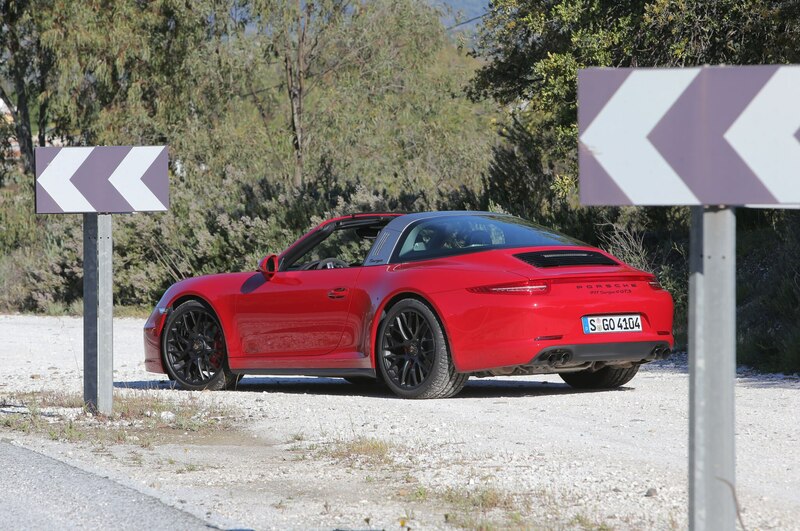 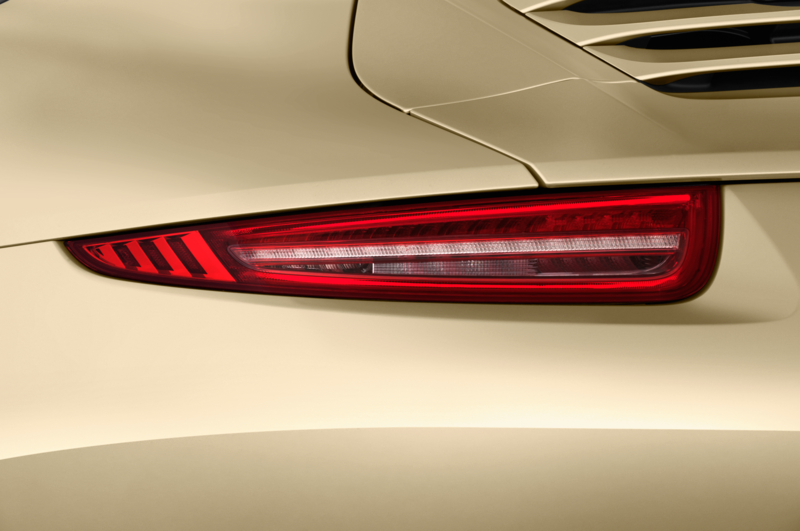 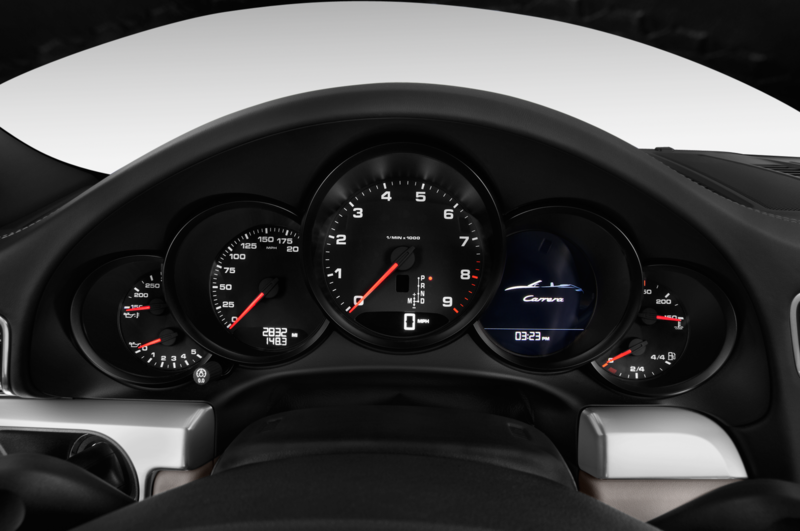 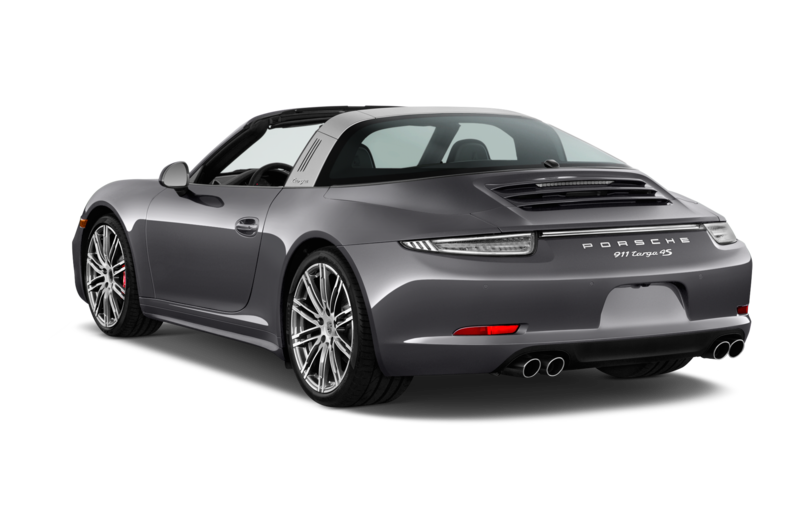 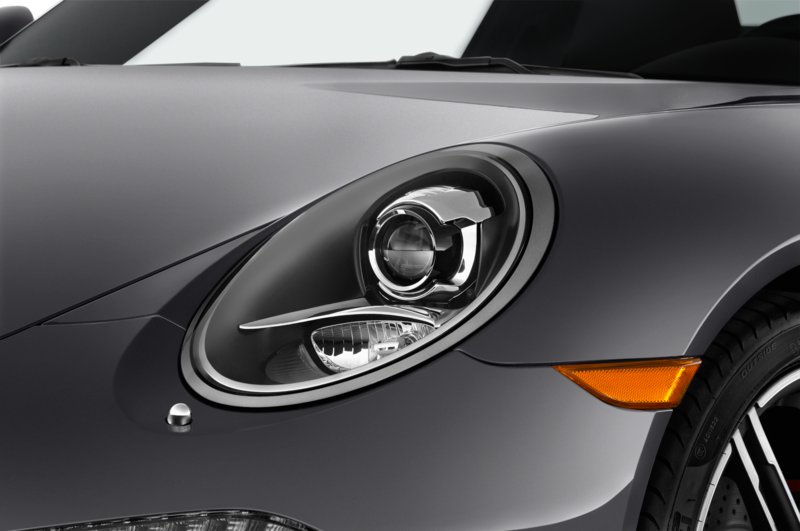 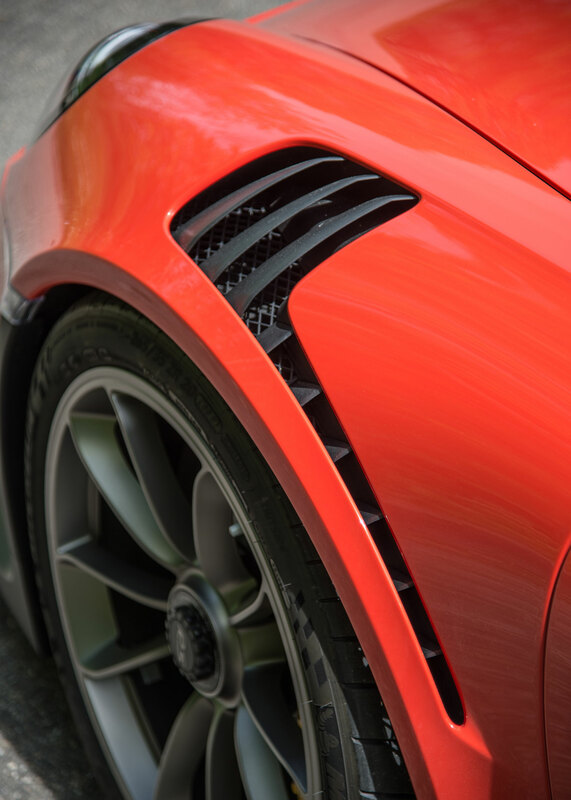 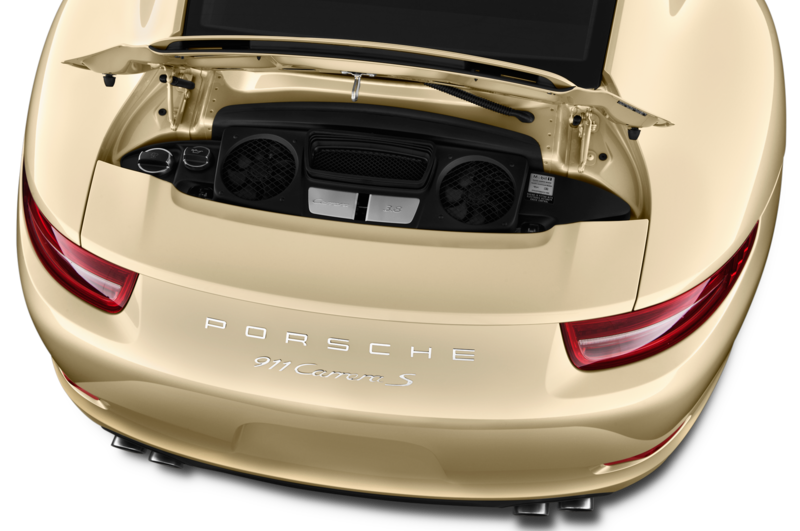 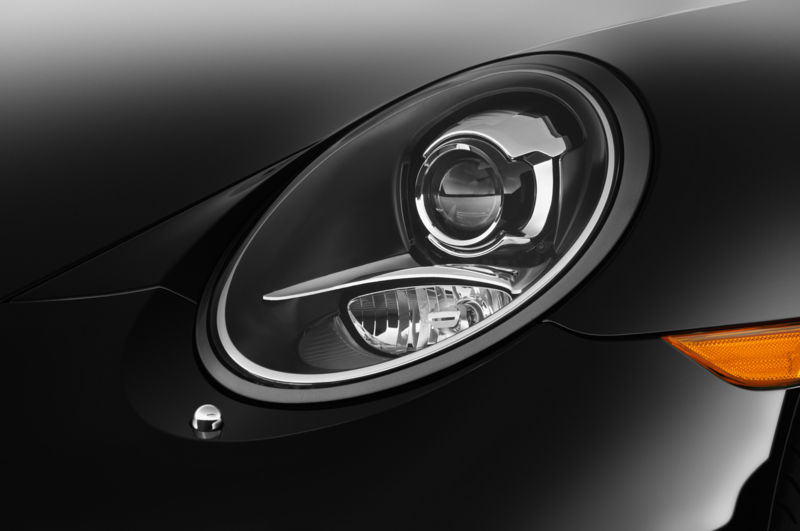 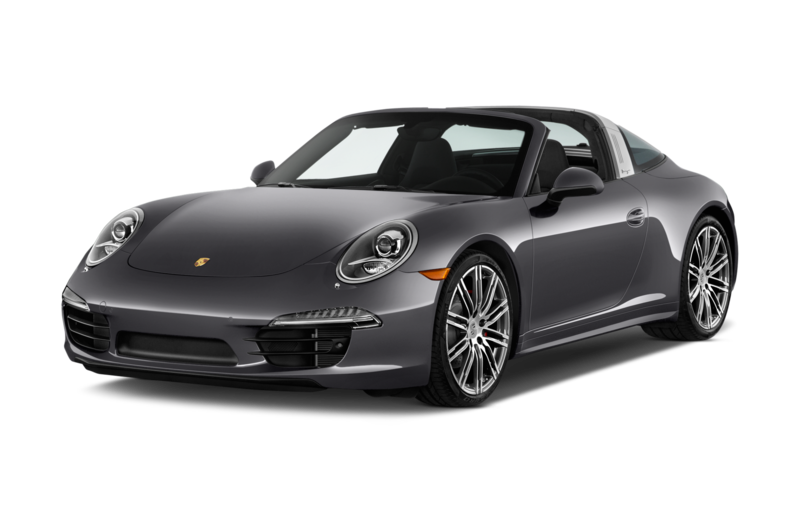 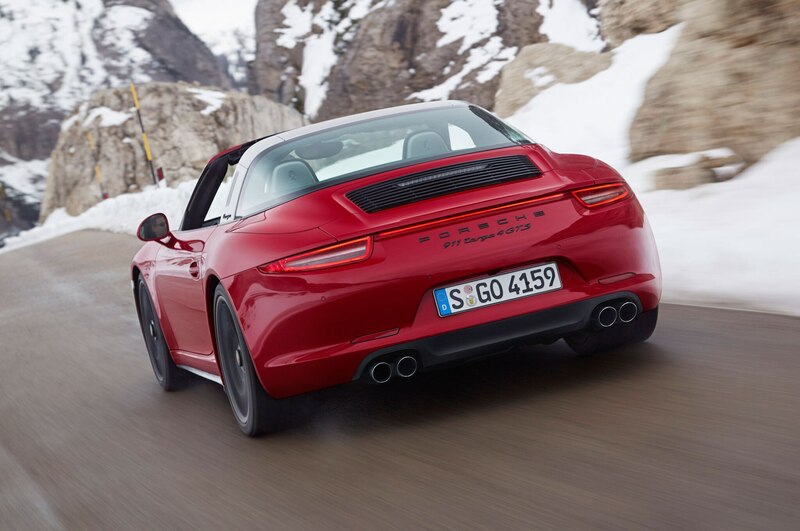 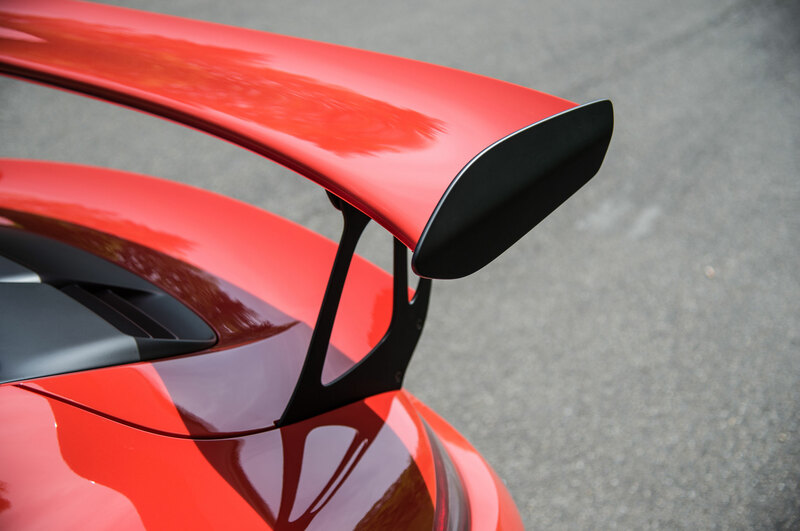 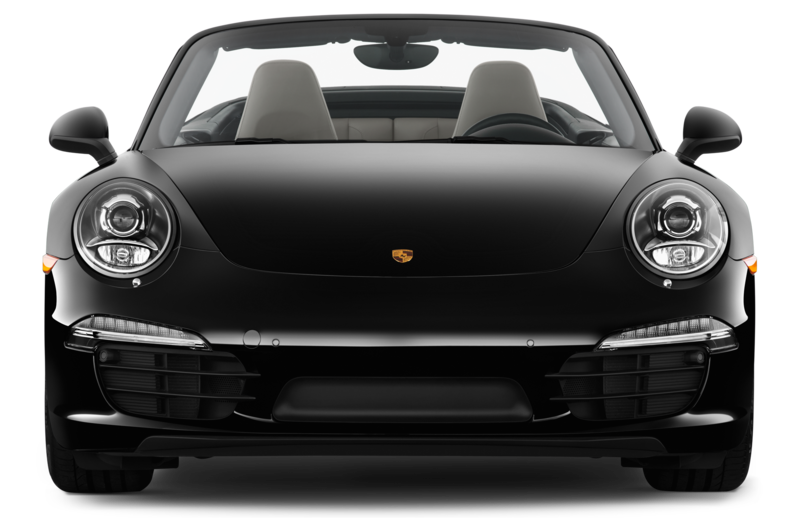 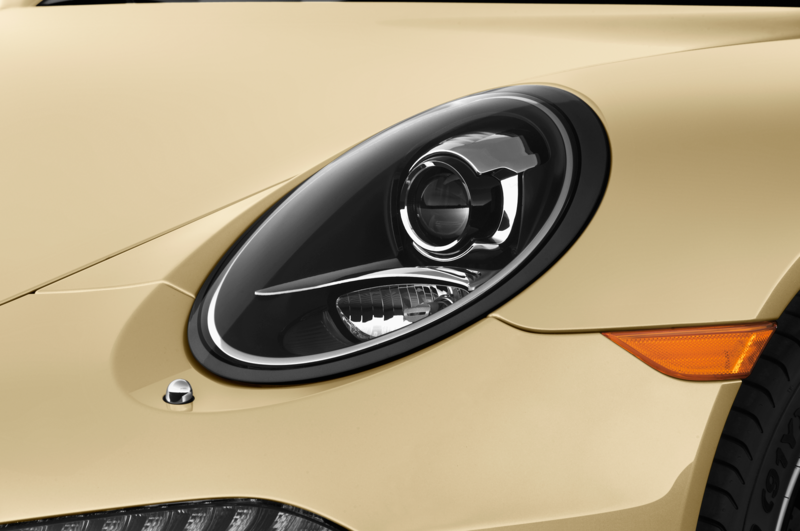 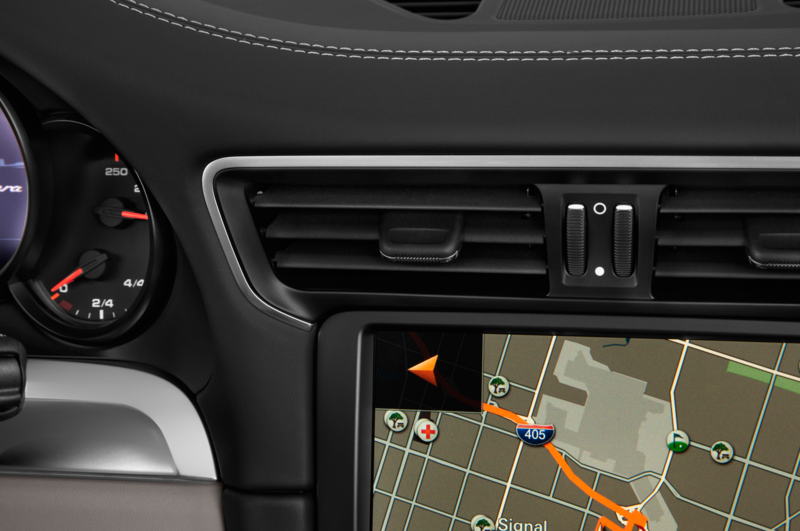 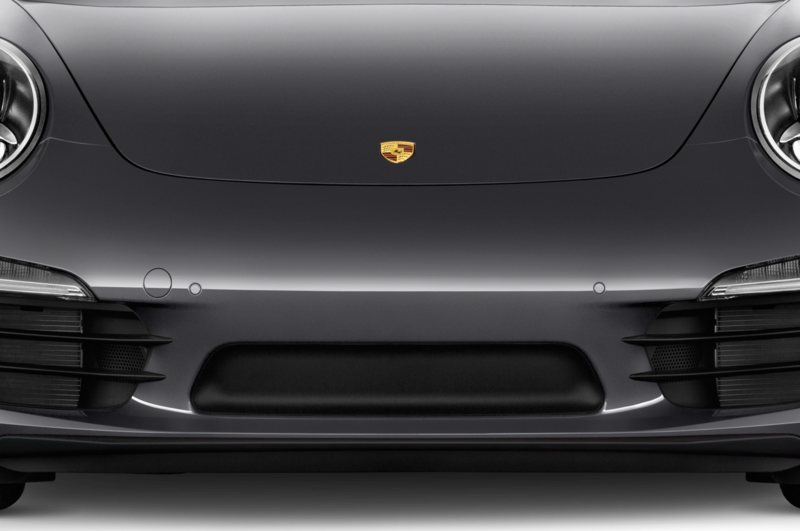 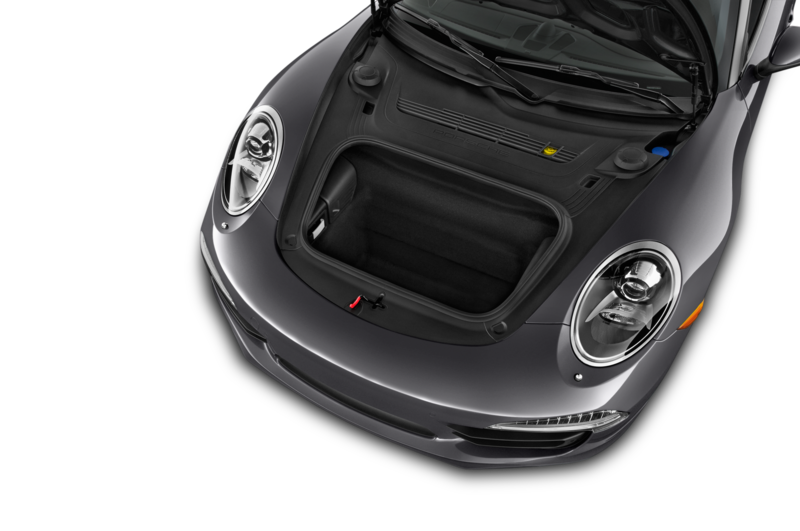 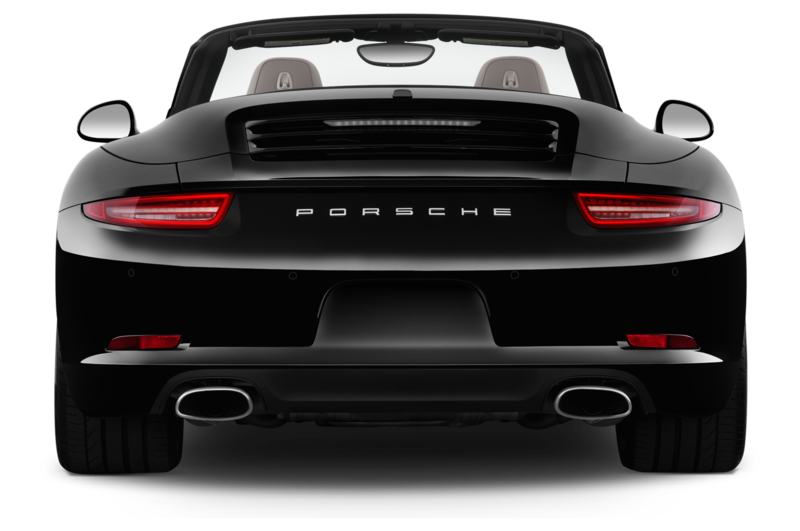 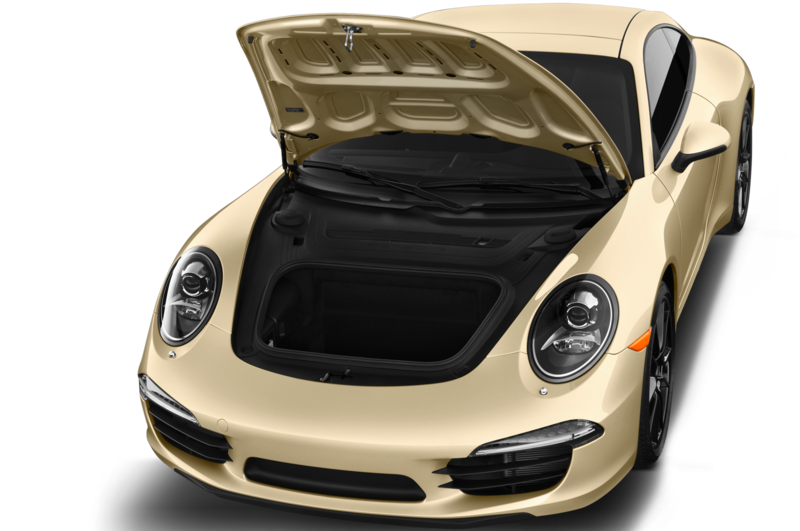 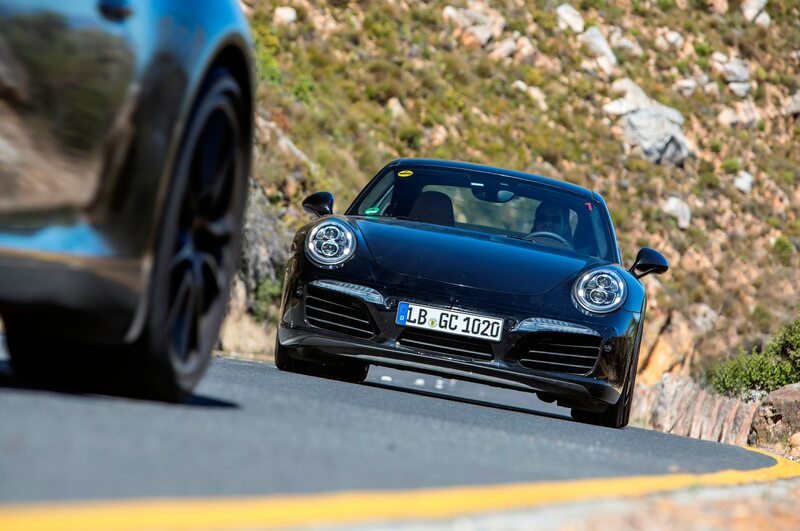 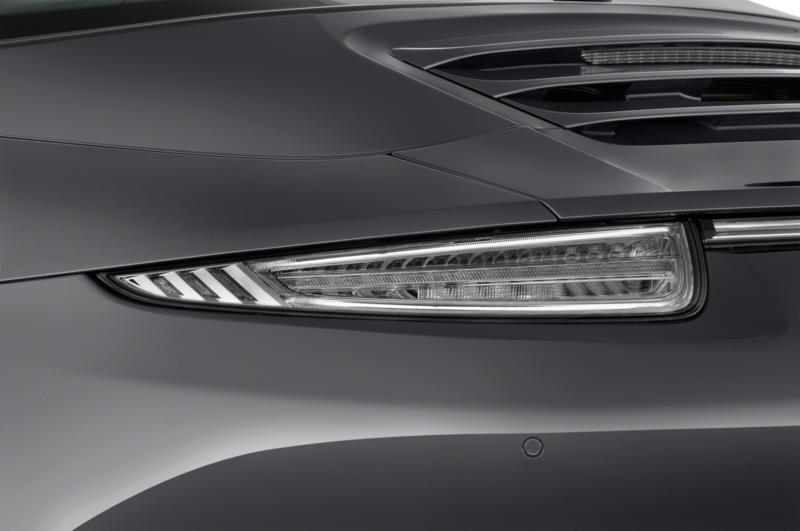 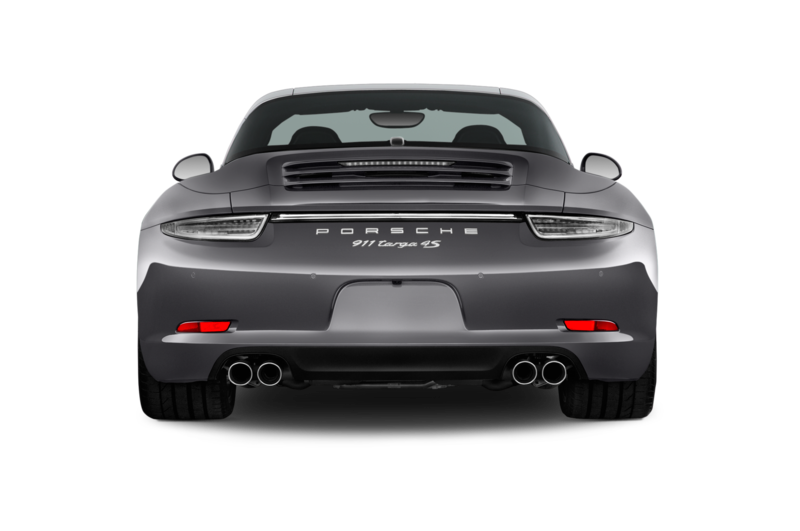 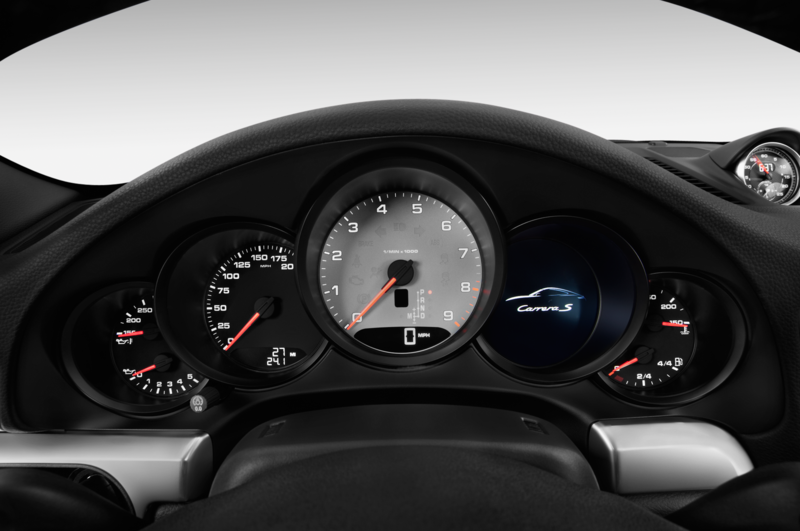 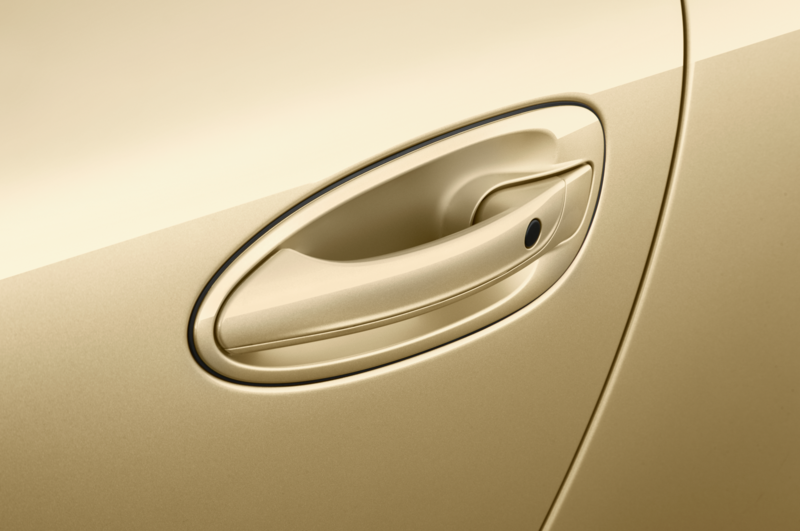 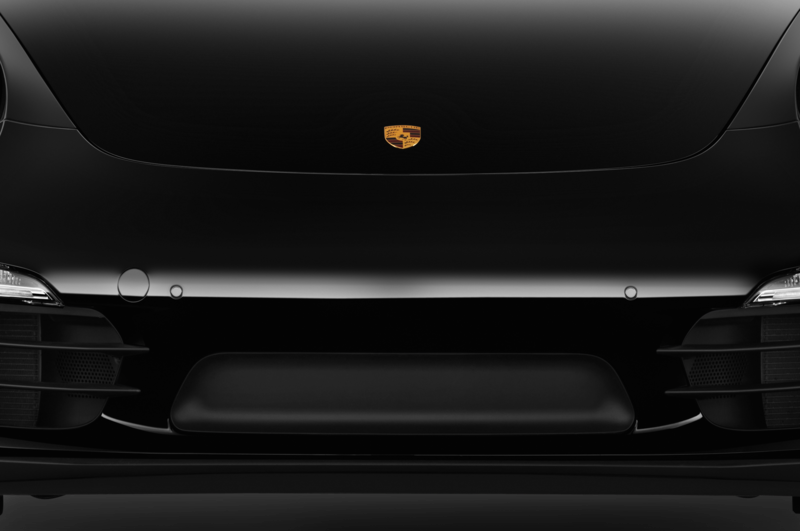 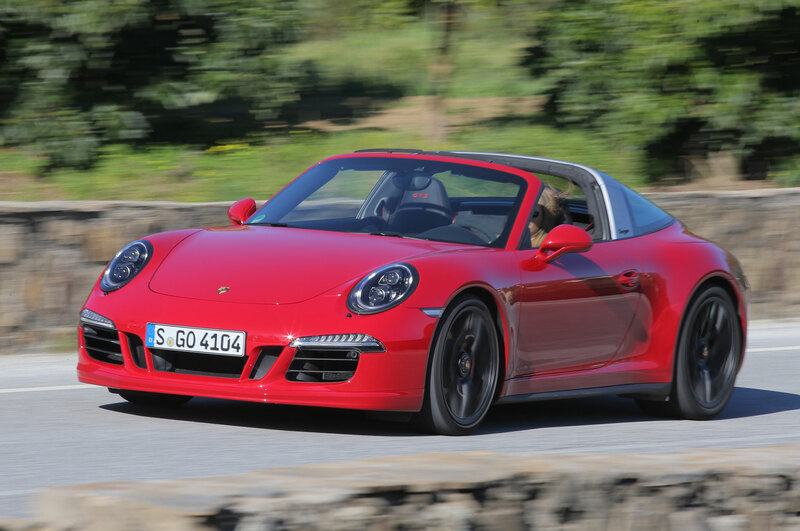 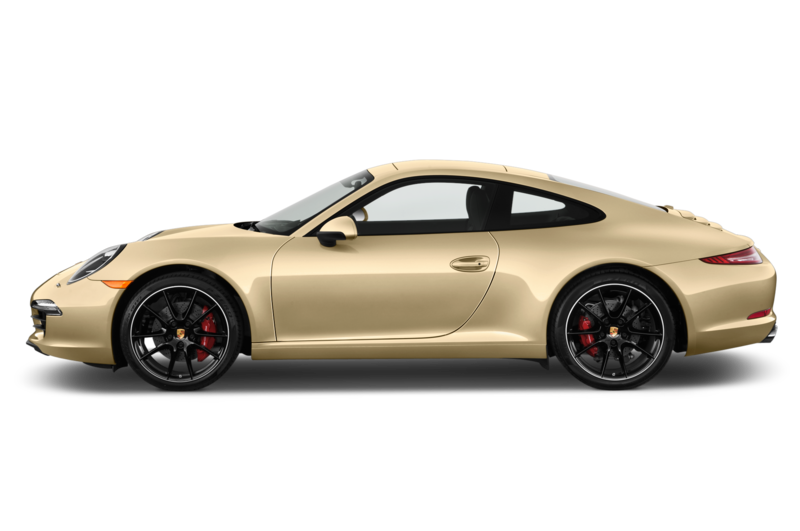 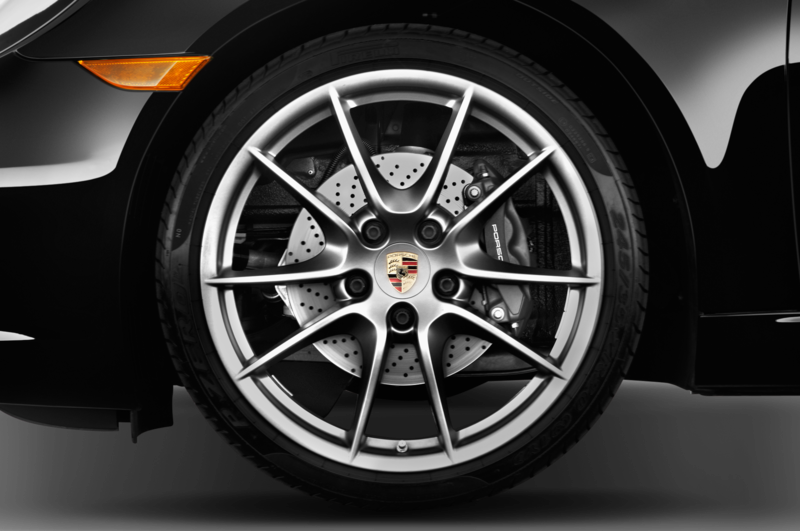 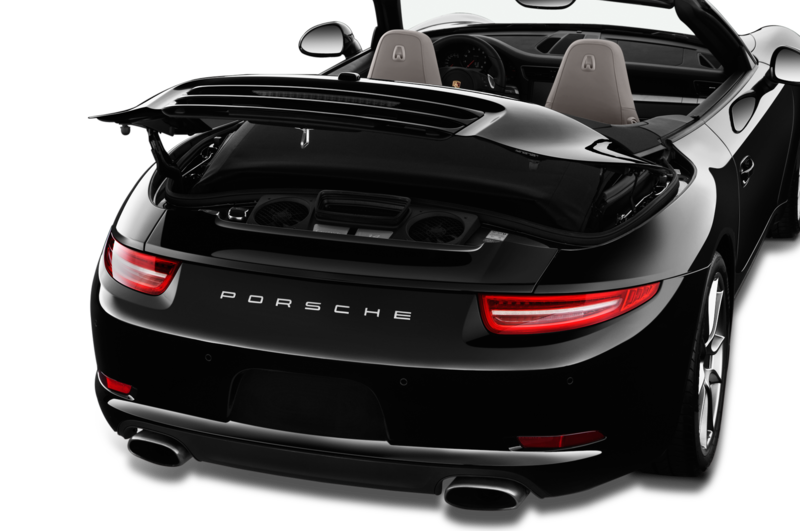 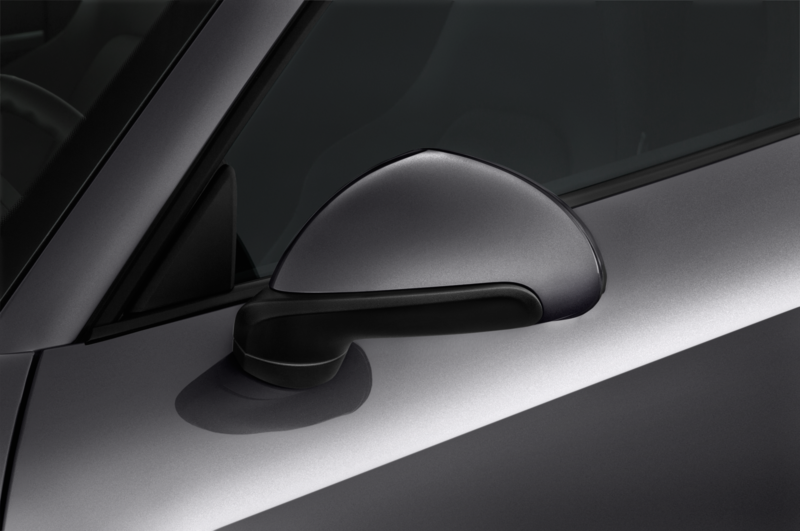 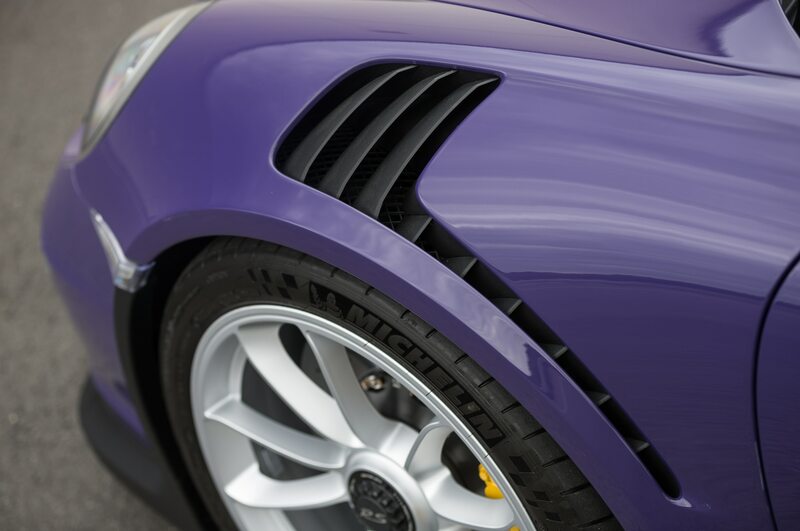 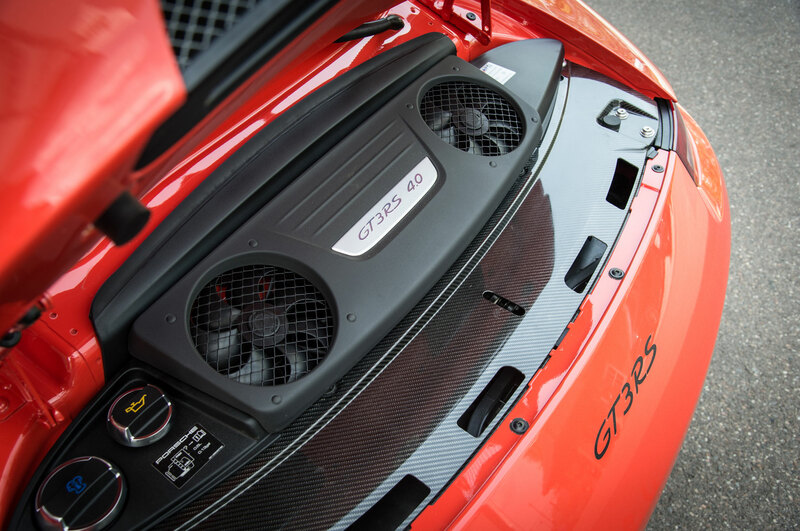 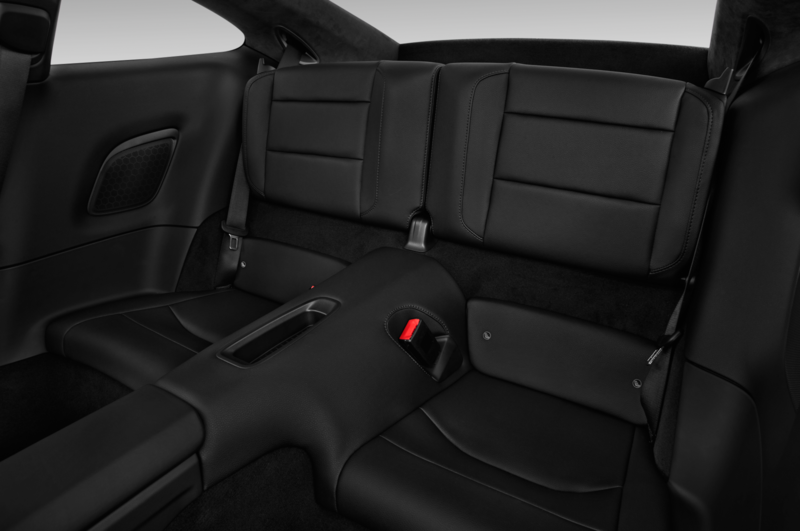 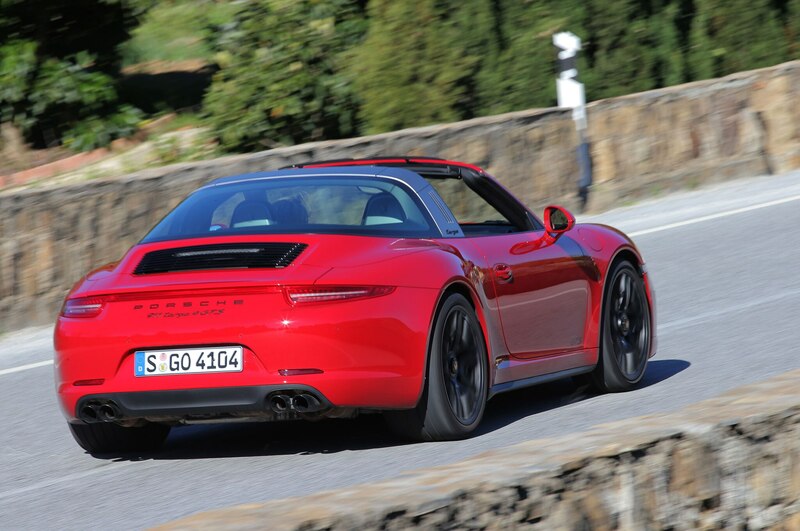 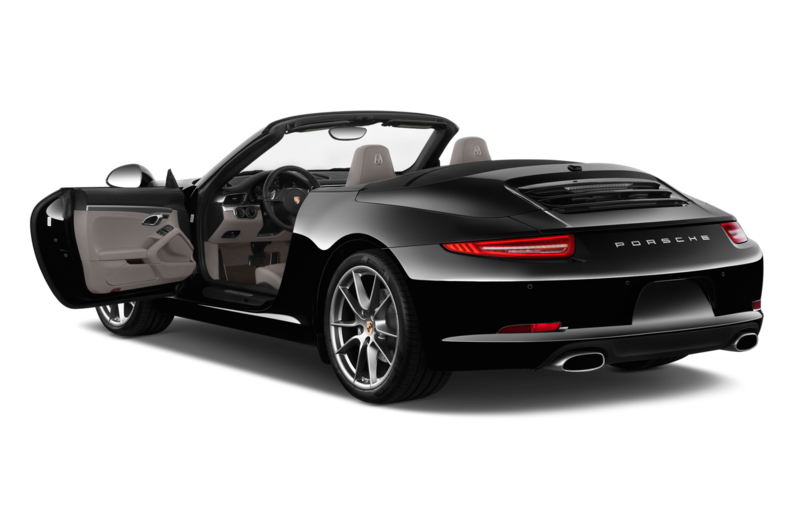 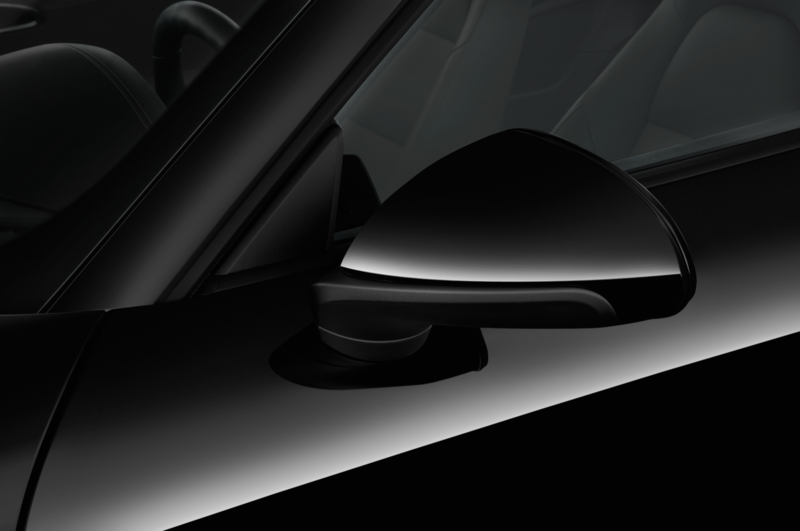 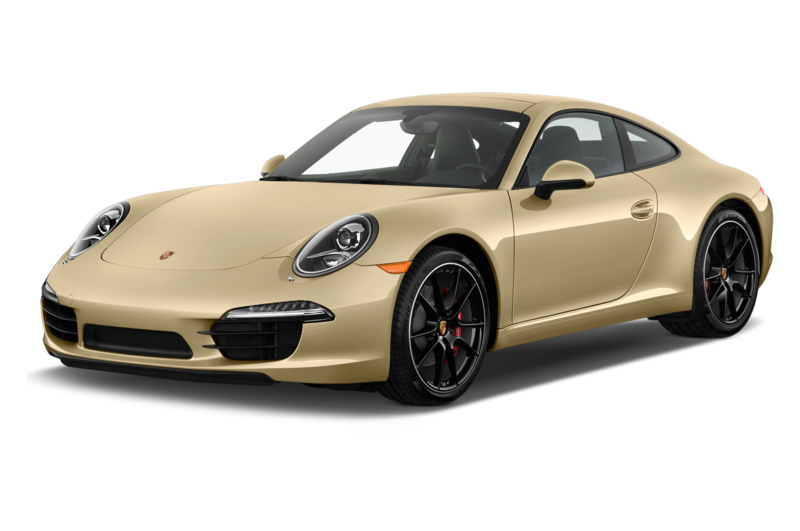 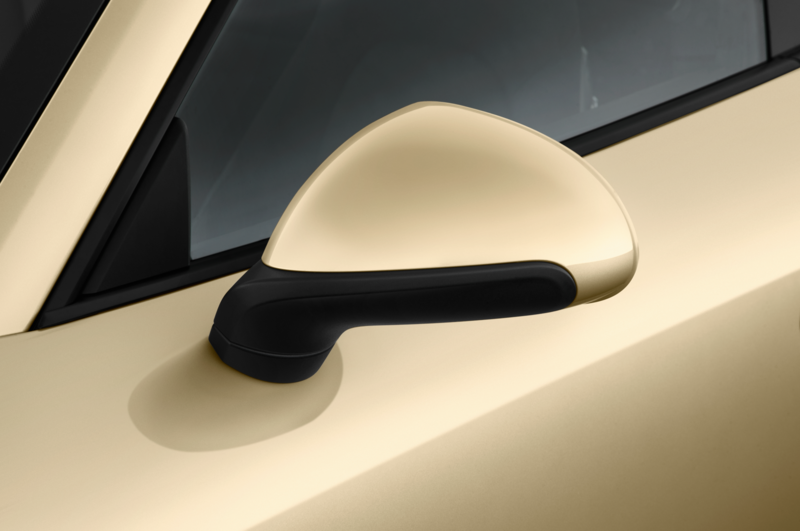 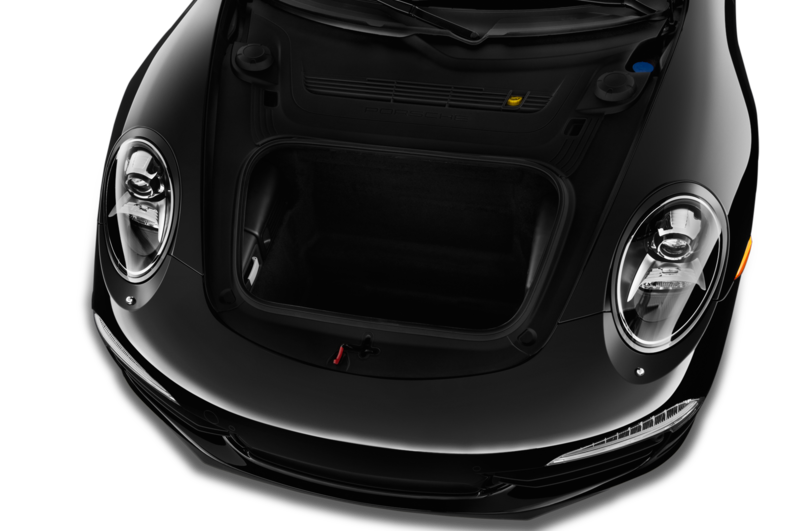 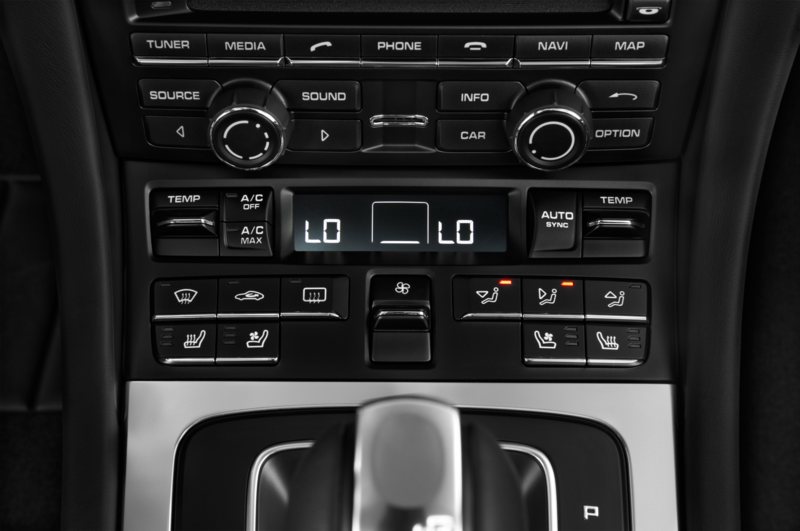 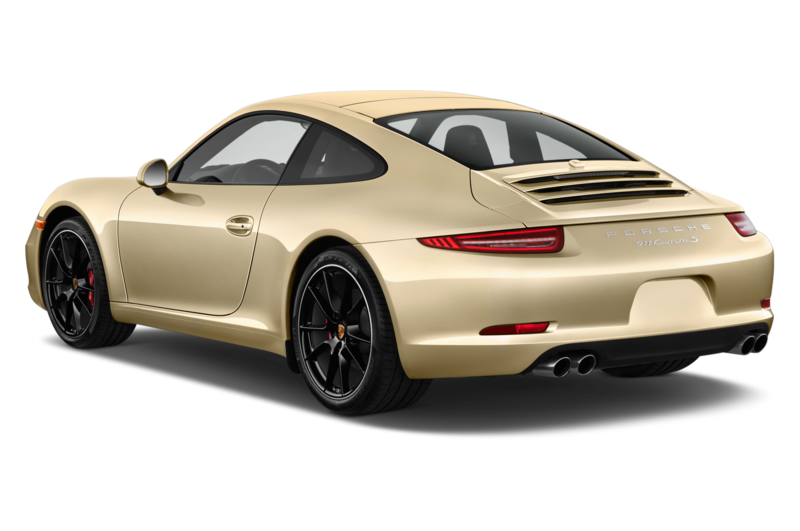 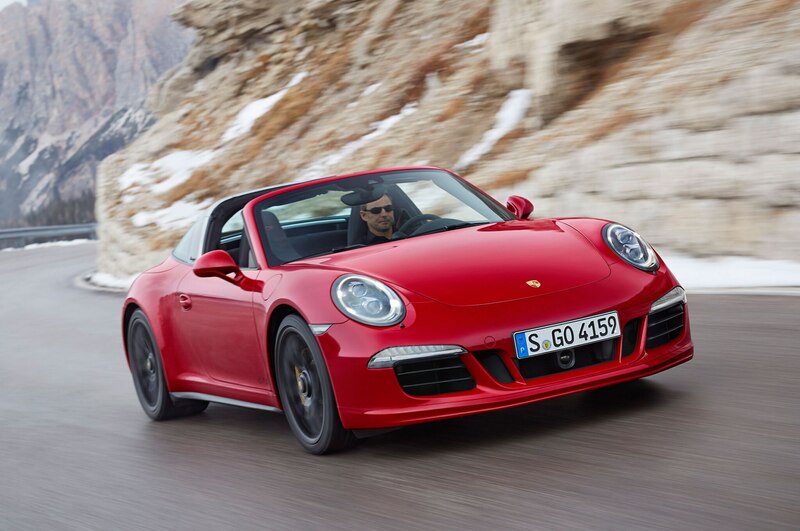 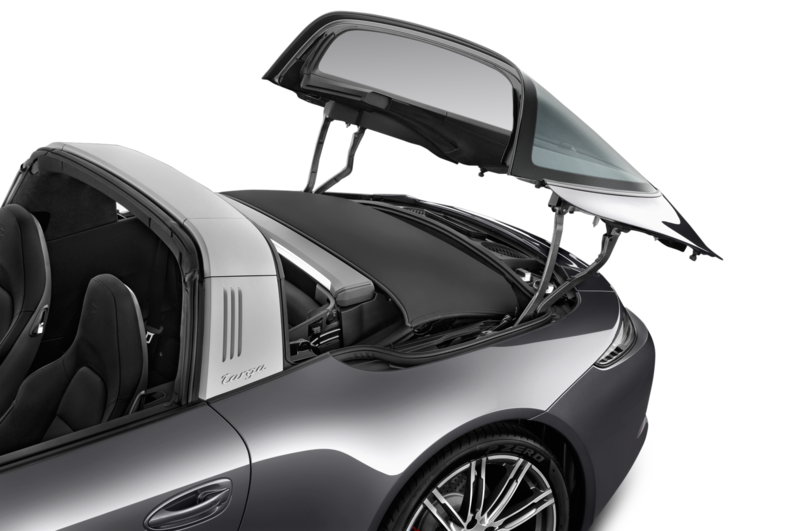 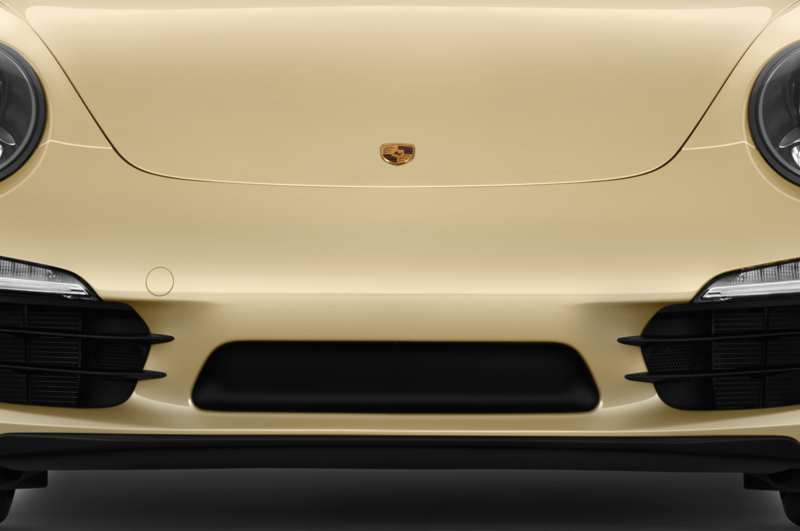 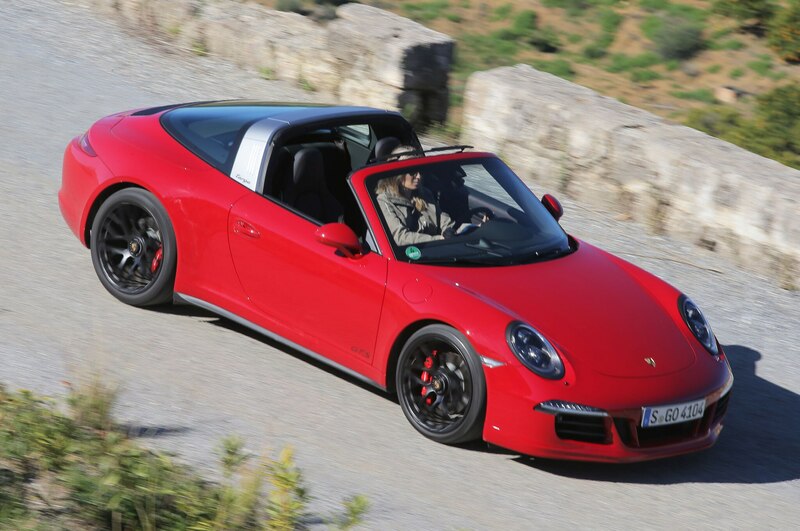 Visual variances for the 2016 Porsche 911 Targa 4 GTS amount to a body-color lip spoiler, and lots of black along the doorsills, exhaust tips, model designation wording, and engine cover grille. 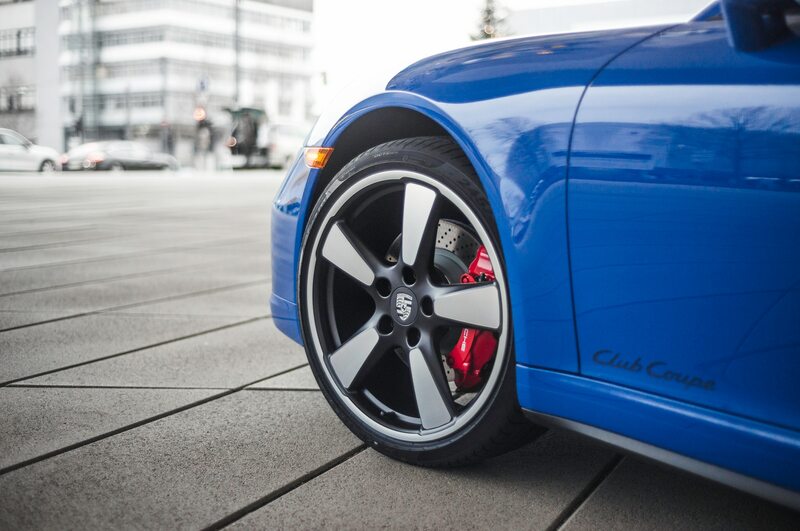 Despite 14 body colors, the only wheels on the list are—you guessed it—finished in black. 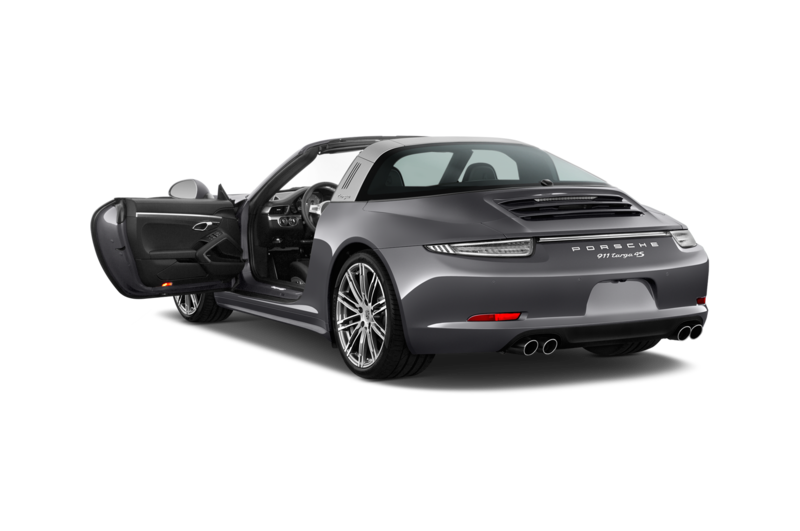 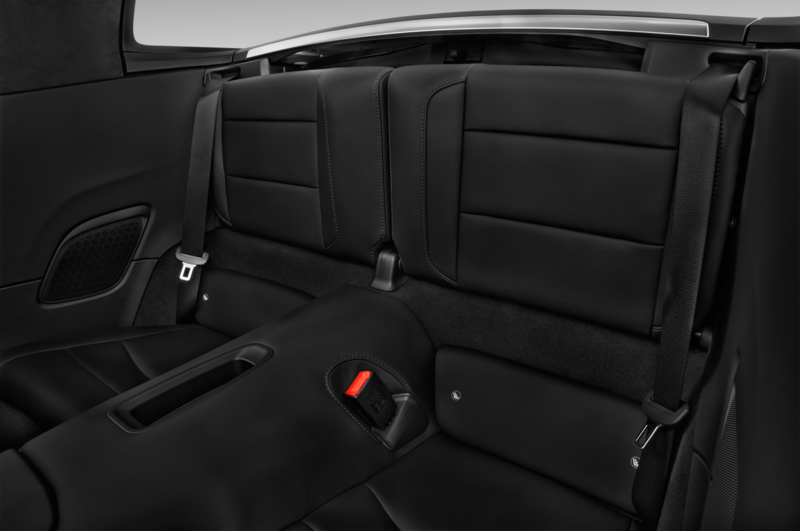 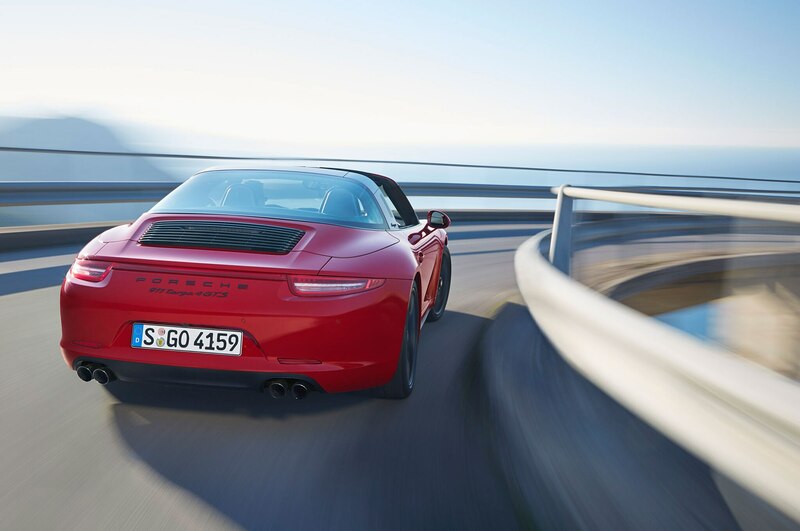 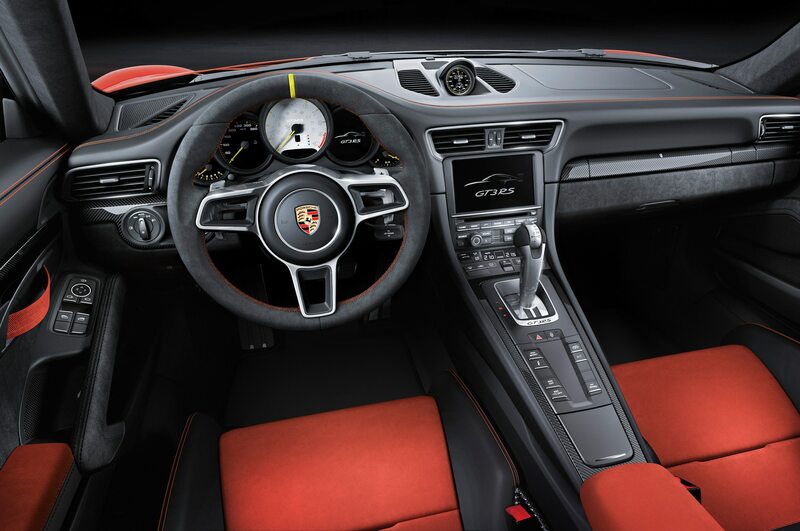 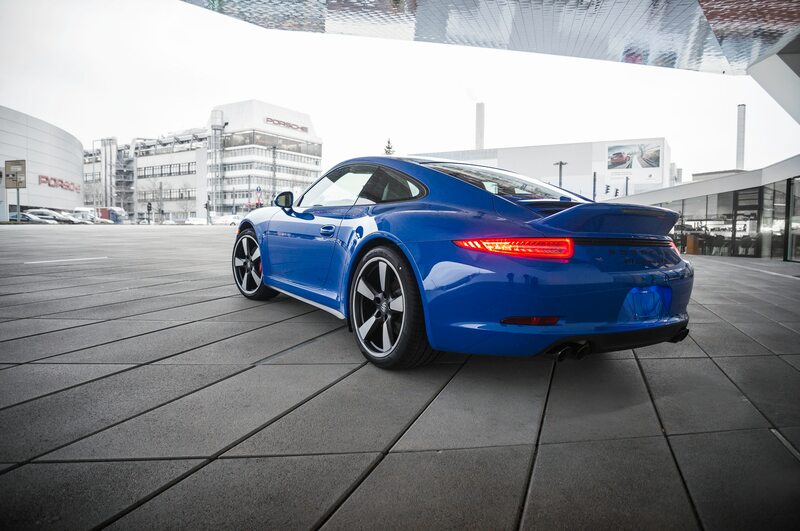 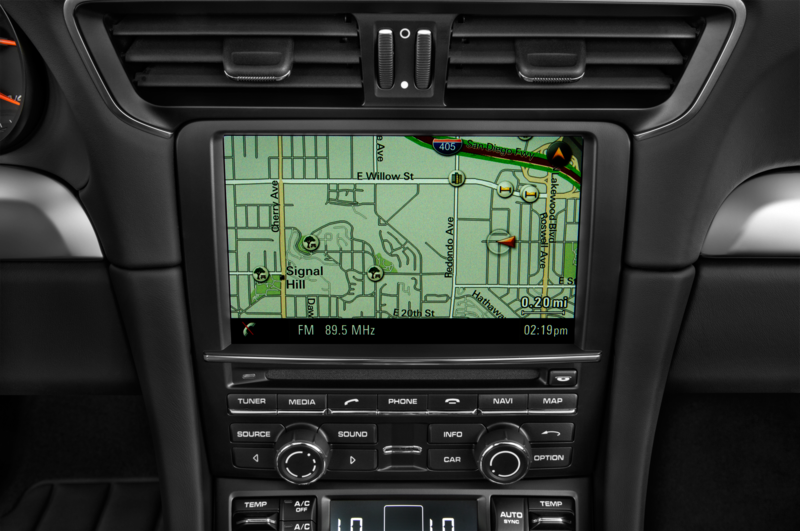 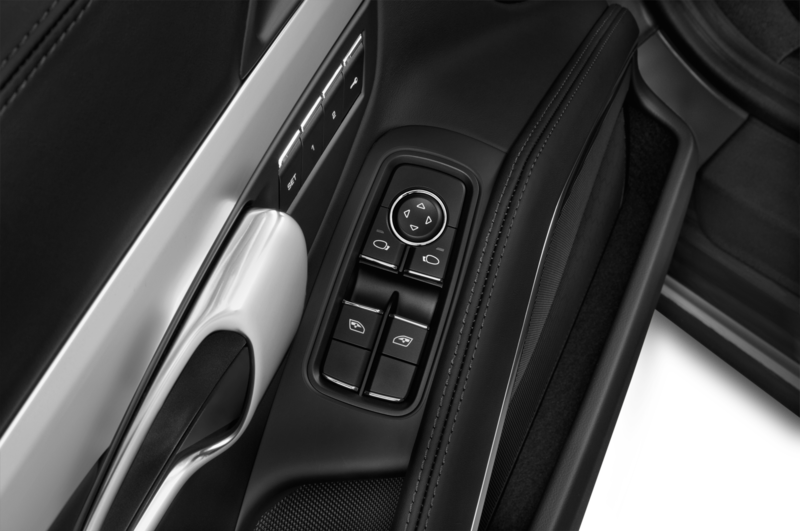 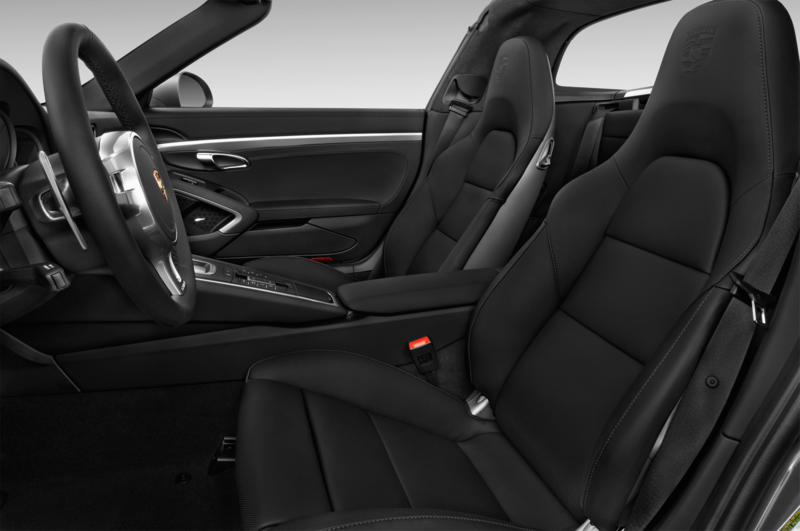 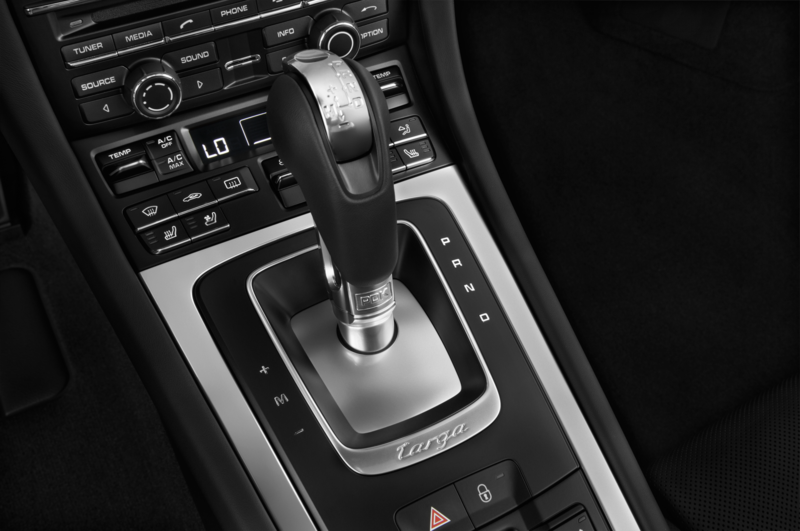 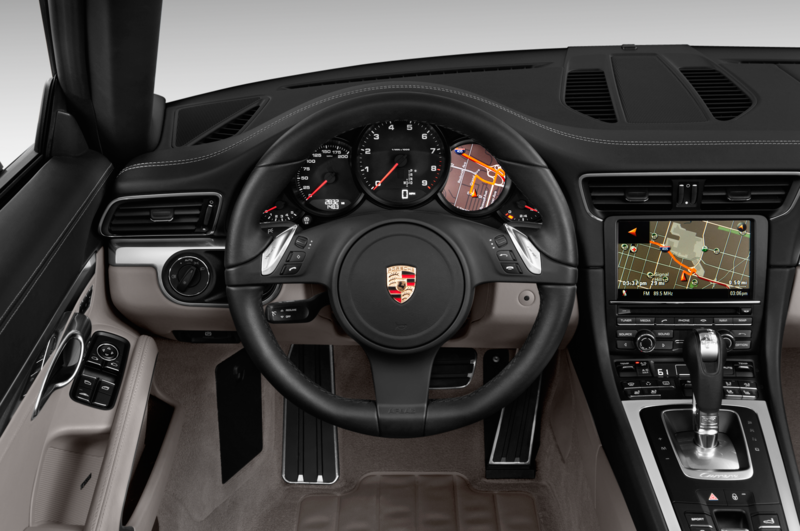 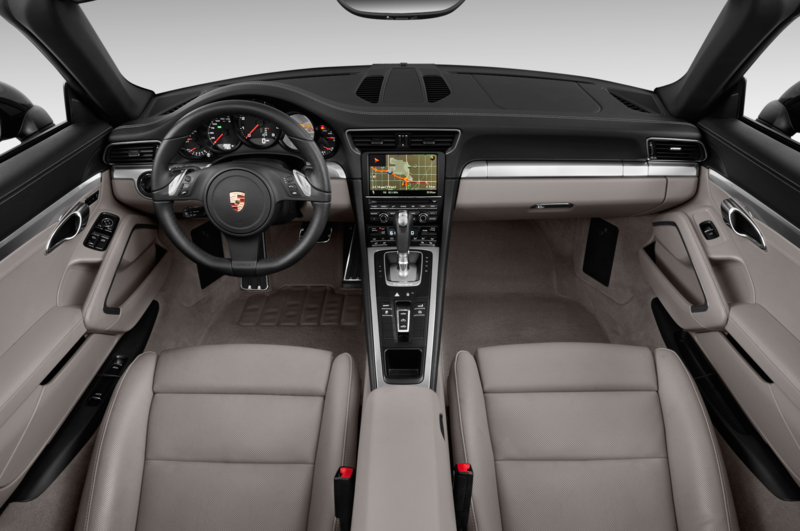 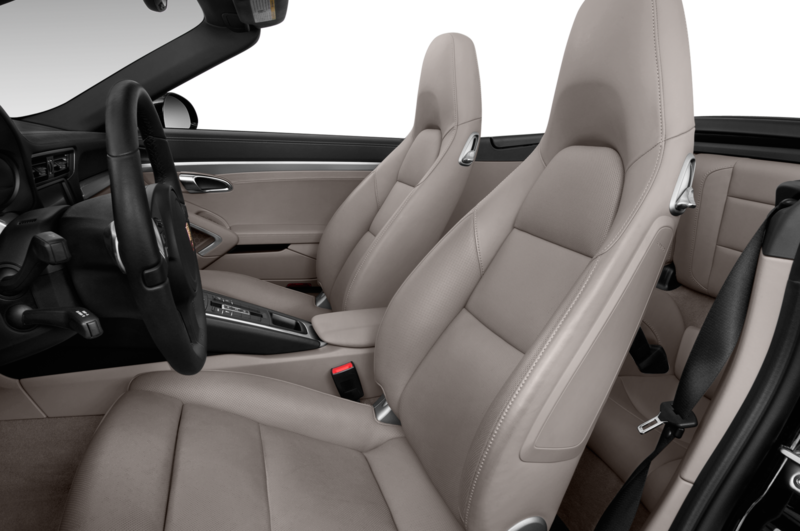 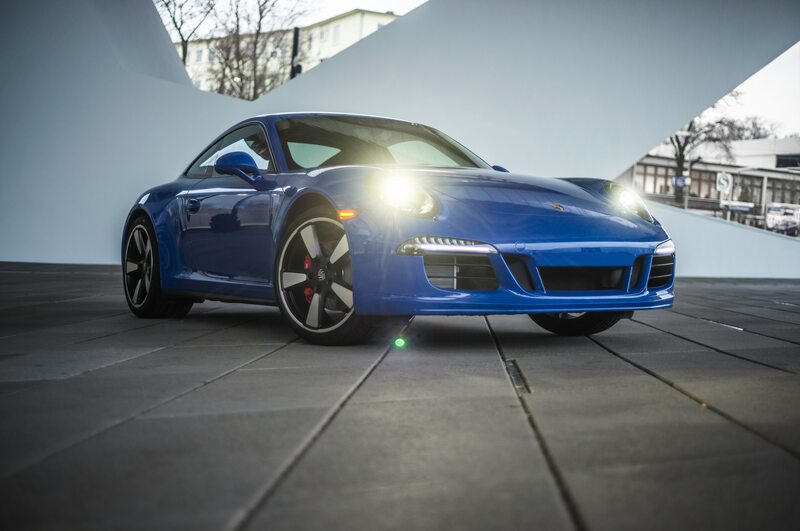 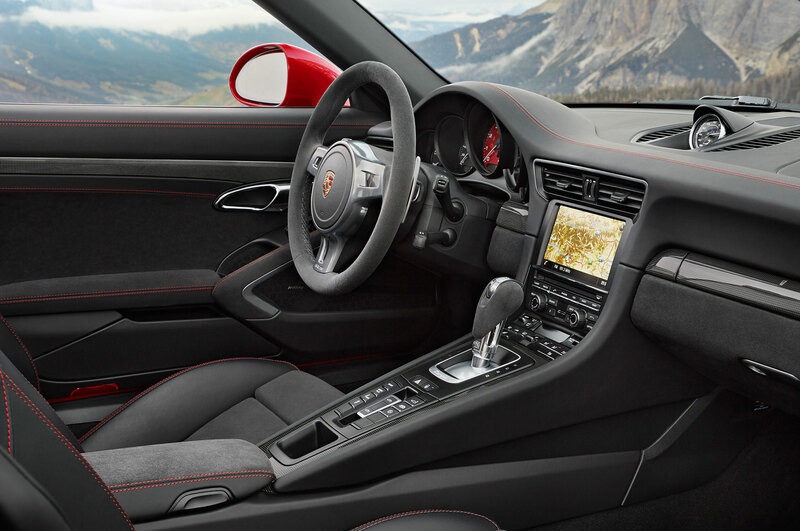 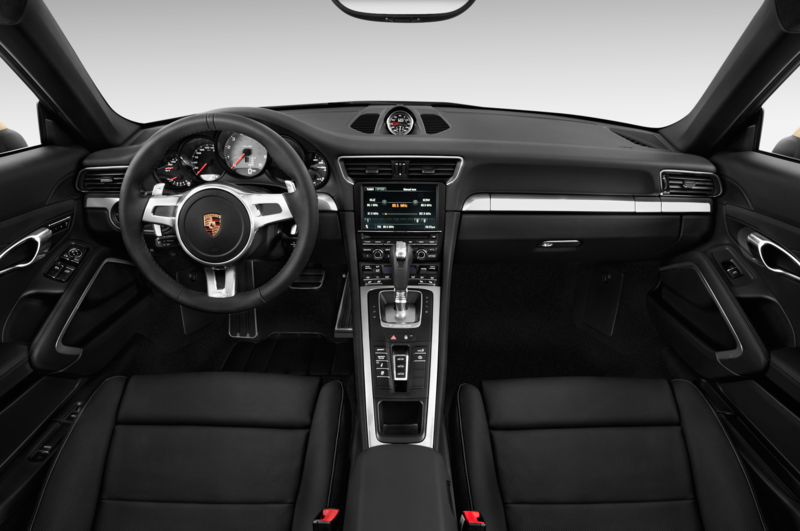 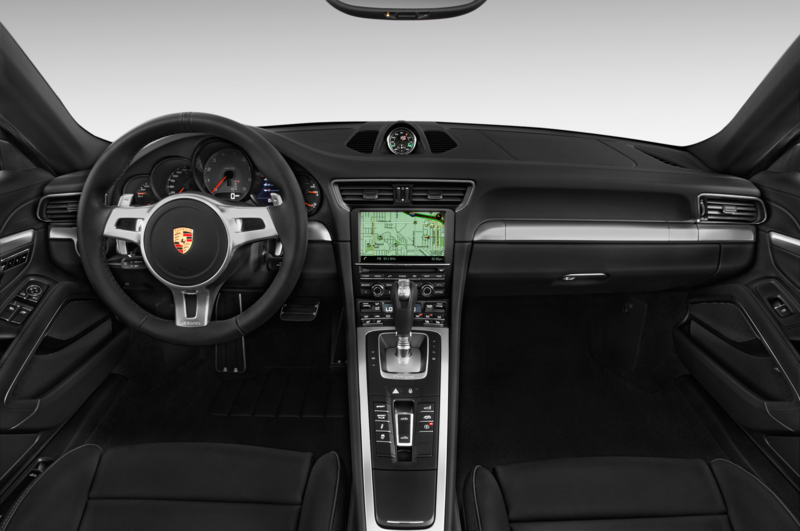 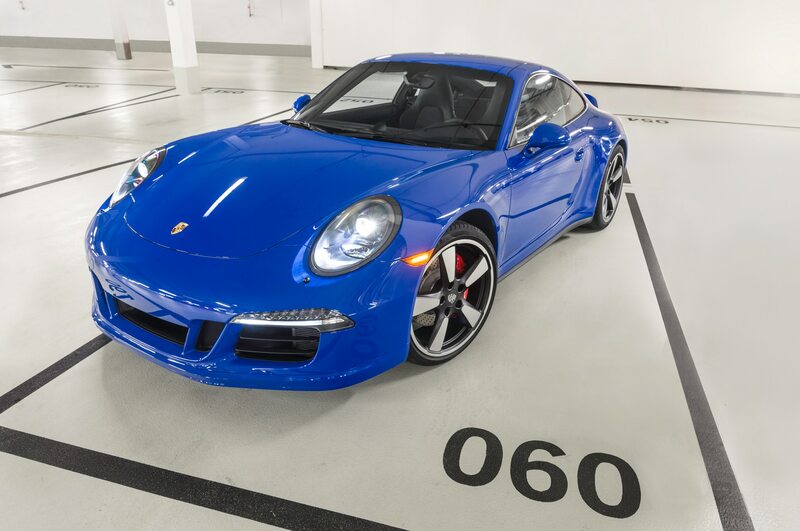 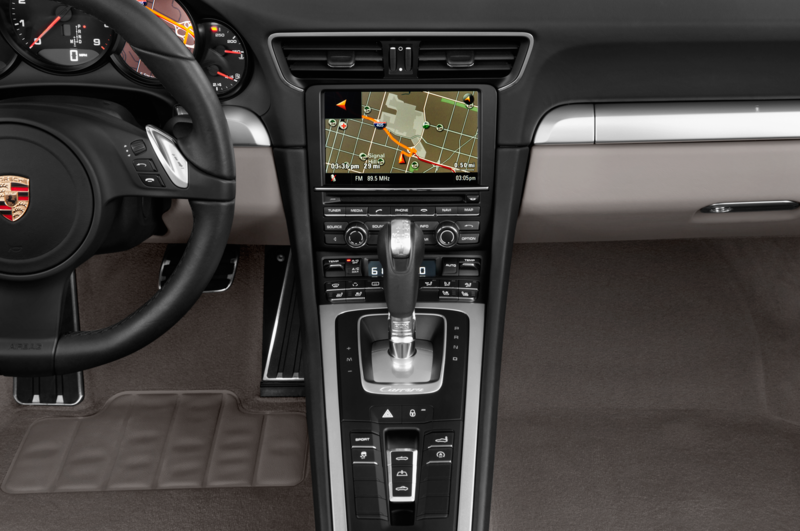 Entry price for the 2016 Porsche Targa 4 GTS is $133,795 for the seven-speed manual car; add $4,840 for the PDK. 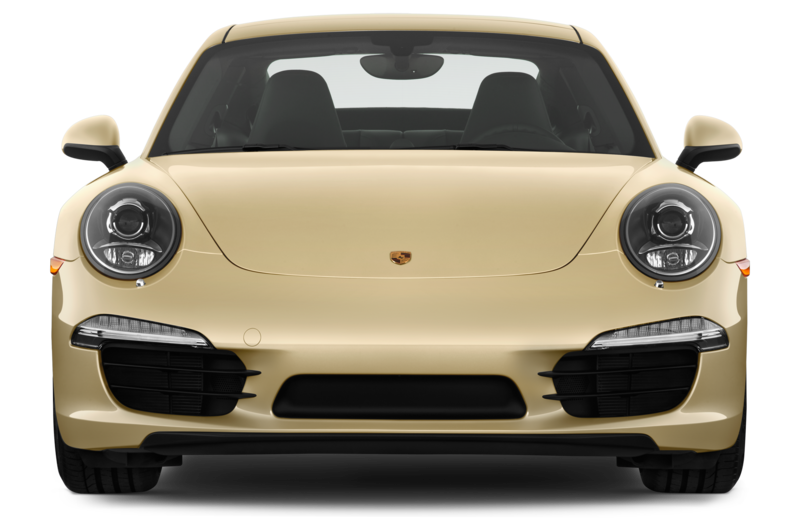 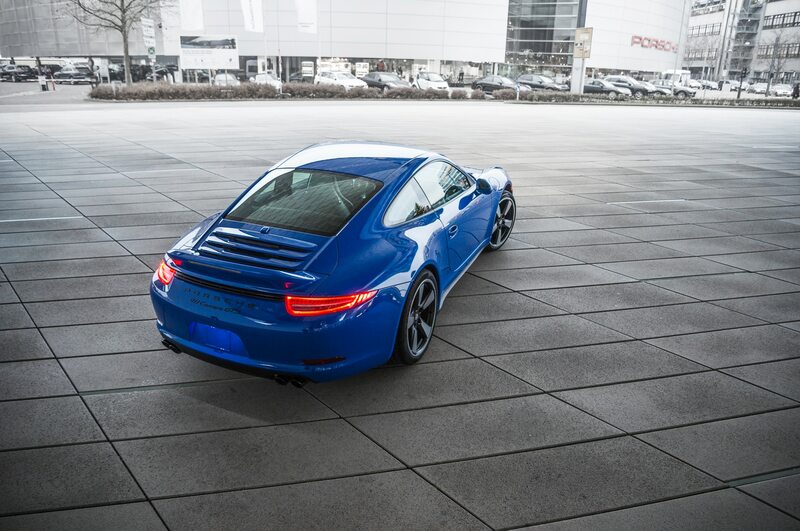 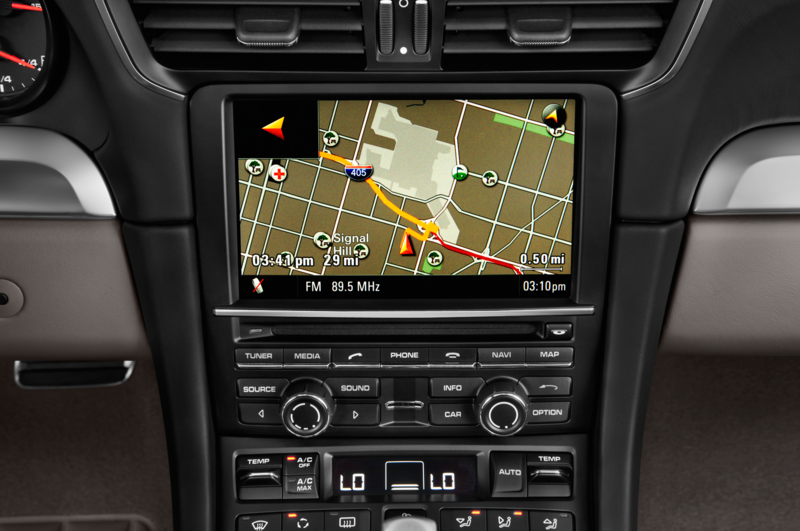 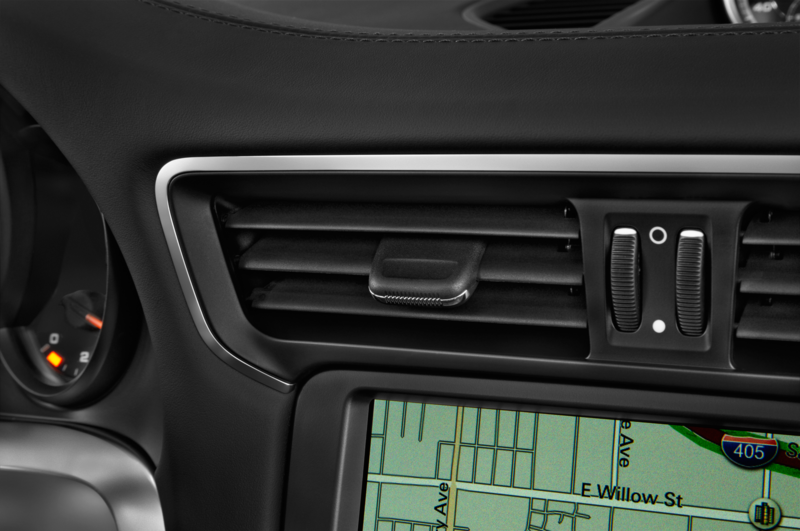 Wander through the options list, and as with most any Porsche, you’ll be north of that number quicker than you can say Zuffenhausen.